The utmost in daintiness and femininity can no doubt be in expressed with lace, applique and embroidery and oh how we love seeing it on a beautiful wedding dress! It’s truly like wearable art in motion! 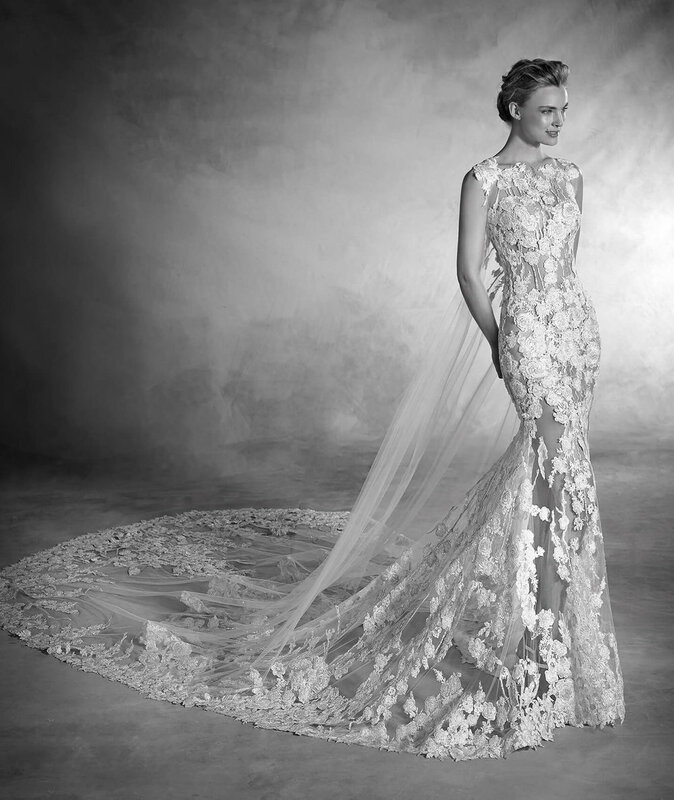 Developed in Europe in the 1600’s, the intricacies of lace have never failed to astound. Needle (single thread) or bobbin (the plaiting of many threads), these complex designs spell beauty! Often named after the towns or villages they were made in, the preeminent lace making centers eventually became Italy and France. They were painstakingly created (not to mention time consuming) and were considered true luxury items and reserved for sophisticates, social elites and the aristocracy. Embroidery and applique, however, date back even further and were actually first use as artful techniques used to cover up and extend the life of blankets, quilts and finally clothing. As time progressed, they were eventually used to decorate clothing and became status symbols denoting wealth and style. 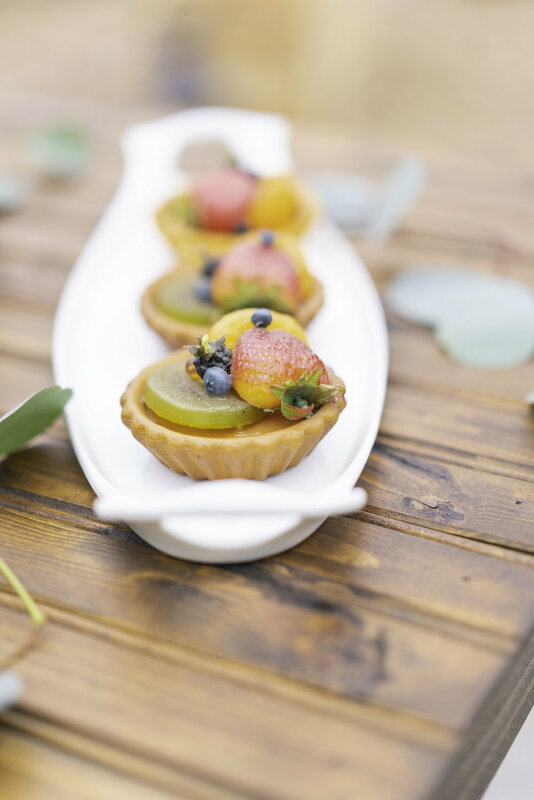 All three of these “attentions to detail” have become things of style and beauty and never fail to impress. 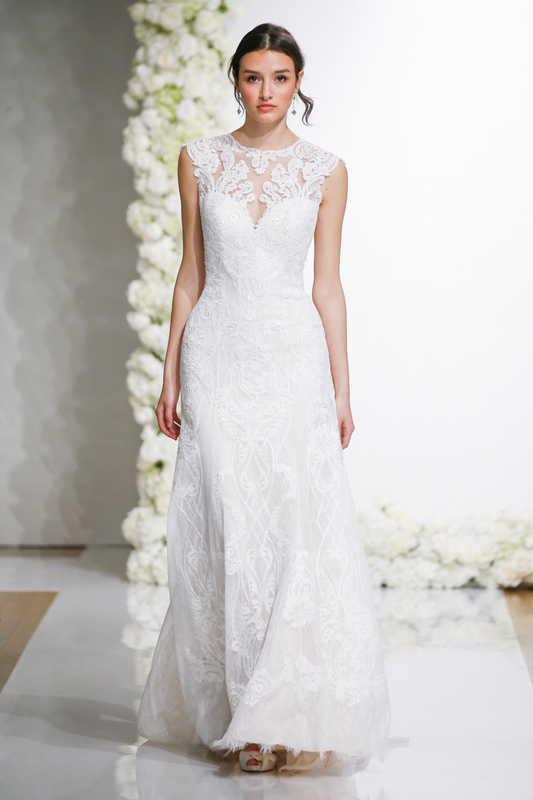 They are truly the focal points on a wedding dresses - like these beauties by Berta - today! 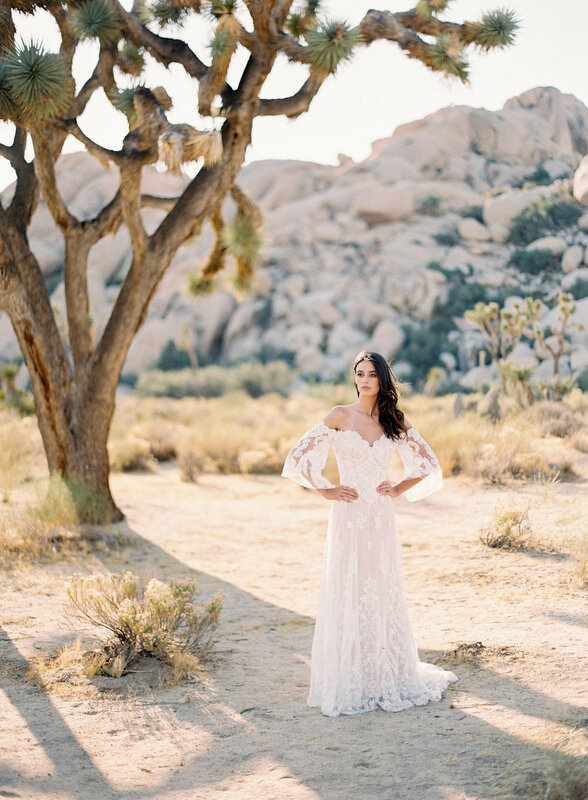 Bridal Gown designers Grace Loves Lace has just launched their exciting ICON collection - this designer brand, renowned for challenging the status quo and eschewing restrictive, uncomfortable dresses, Founder and Creative Director Megan Ziems says the collection is an exciting interpretation of what women want in 2018. ICON is a progressive range of wedding gowns born of a spirit of rebellion that celebrates the iconic woman. We love it! 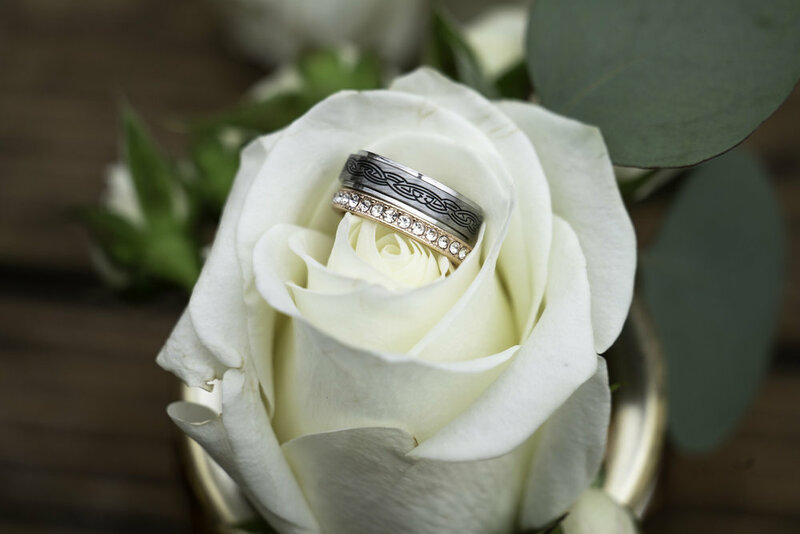 Nestled in Mission Valley, Brides of San Diego has continuously served as one of San Diego’s finest bridal salons since 1968. 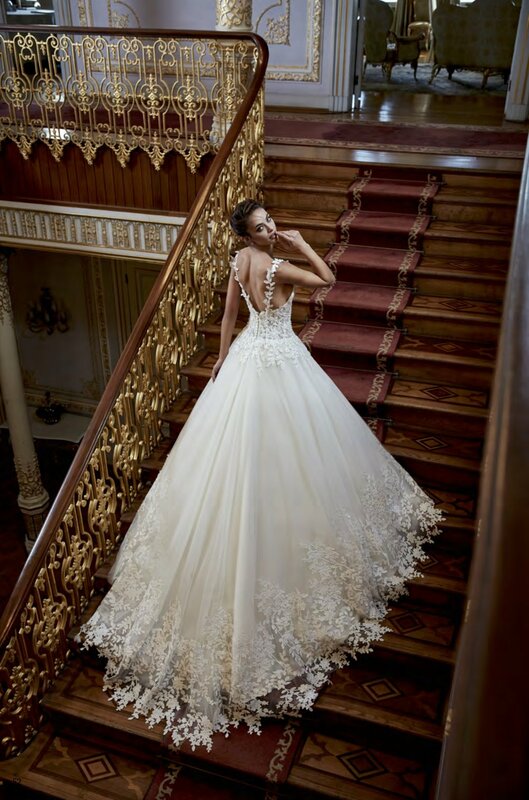 You will be surrounded by a beautiful selection of Demetrios gowns with an expert staff that will give you the attention and experience you deserves. 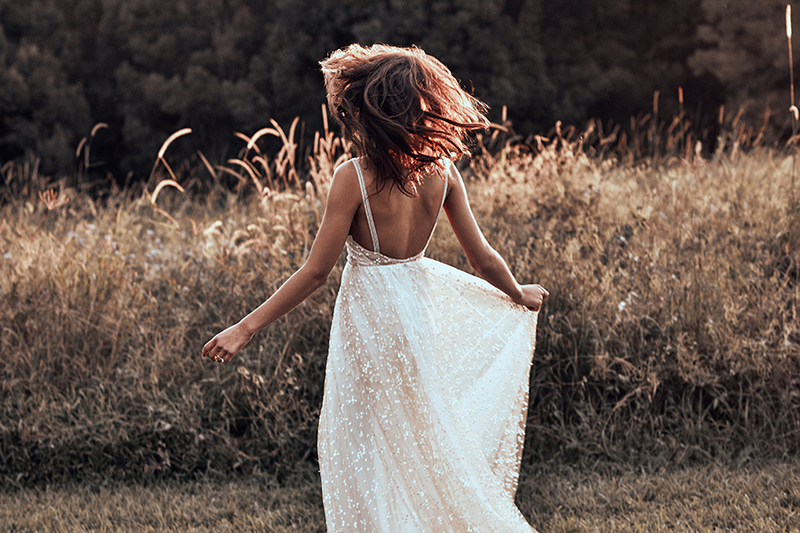 From conservative to trendy, traditional to contemporary, brides are sure to find the perfect dress for their wedding day. 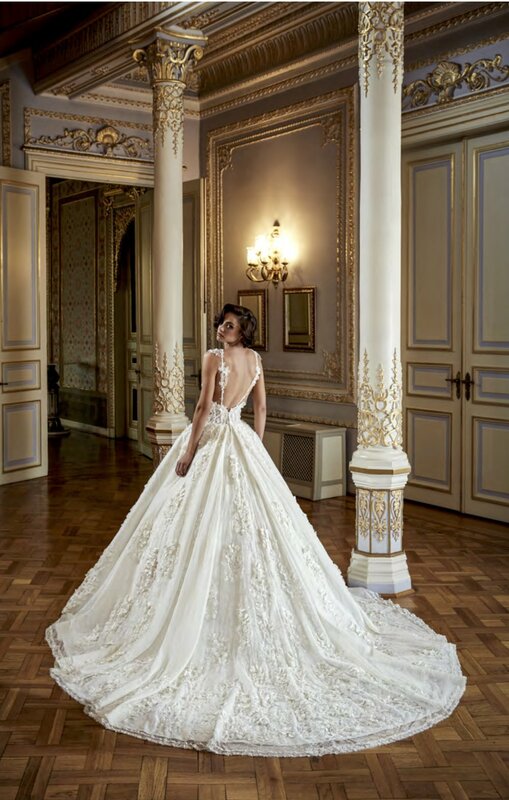 You'll fall in love with your dress at bridal gown salon Brides of San Diego! 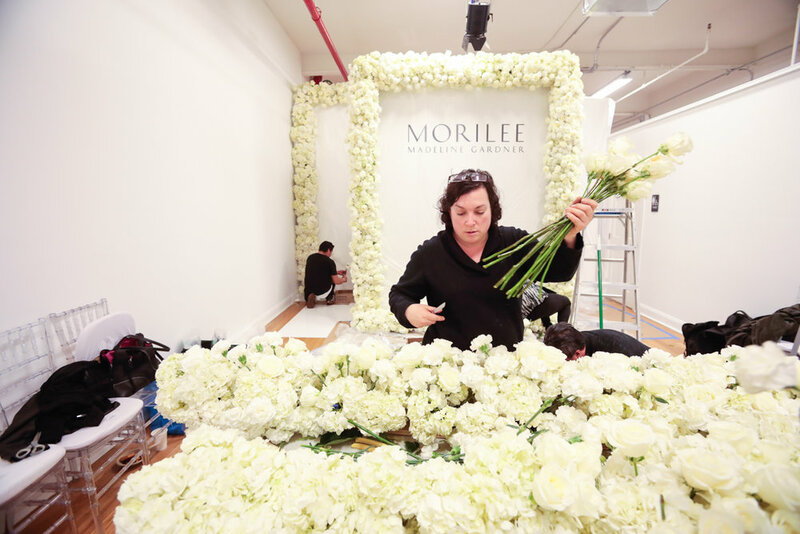 Acclaimed bridal designer Madeline Gardner unveiled her Morilee ‘Endless Love’ bridal collection at New York International Fashion Week on Thursday, April 12th. 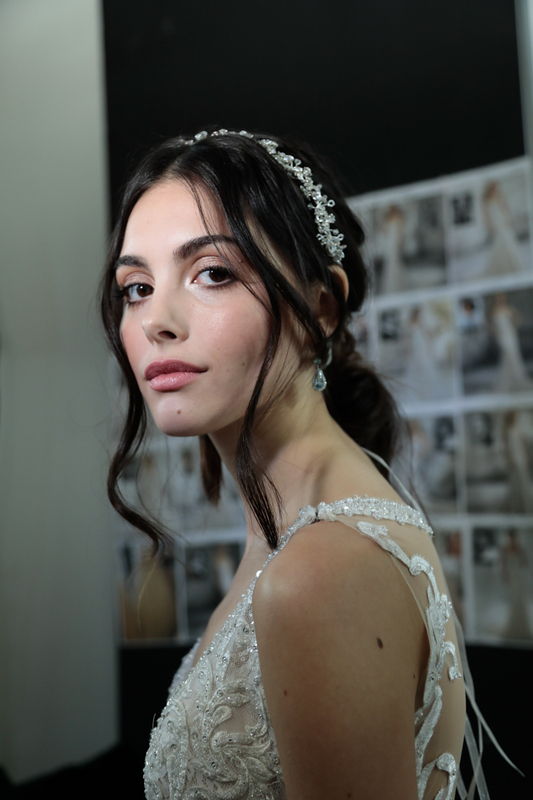 The highly anticipated runway show featured 25 romantic bridal looks. 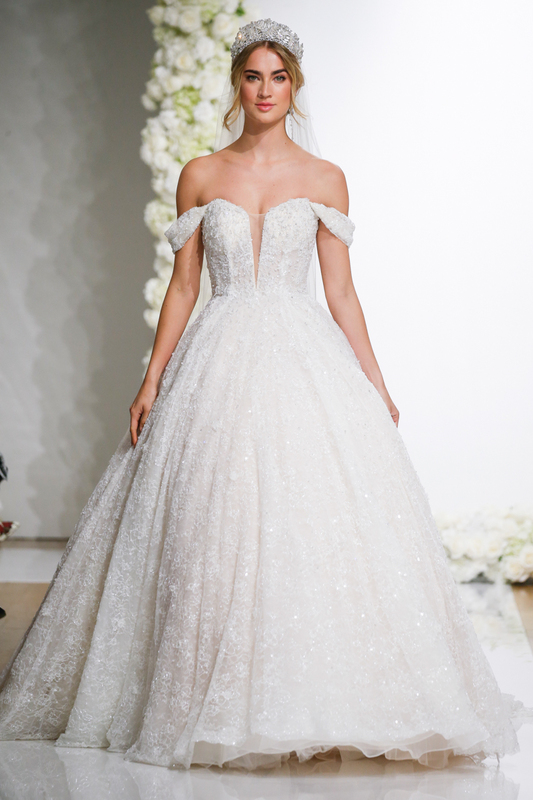 Each unique gown was inspired by endless and infinite love; falling in love is magical and falling in love with your wedding dress should be too. 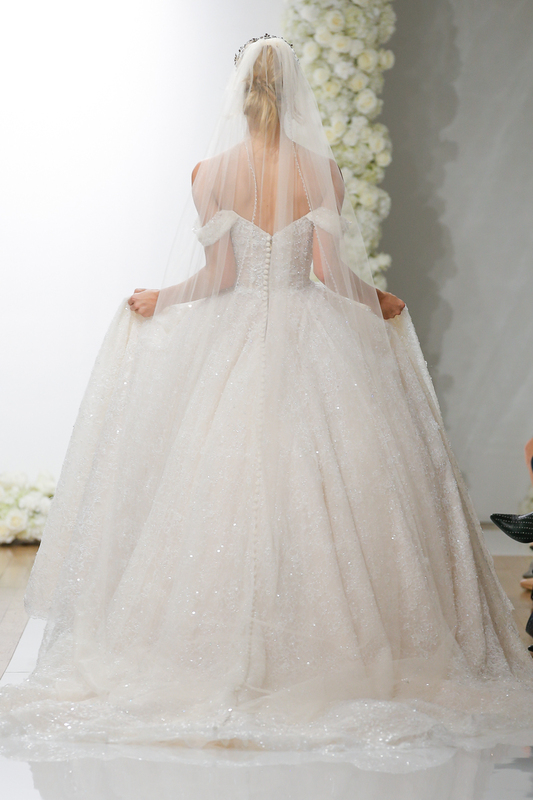 Madeline Gardner opted for subtle glamour this season; layered semi-sheer tulle coupled with flecks of unexpected sparkle. You will also find on trend features like chic-cup corset bodices, dramatic embroidered trains & ultra-feminine exaggerated silhouettes. 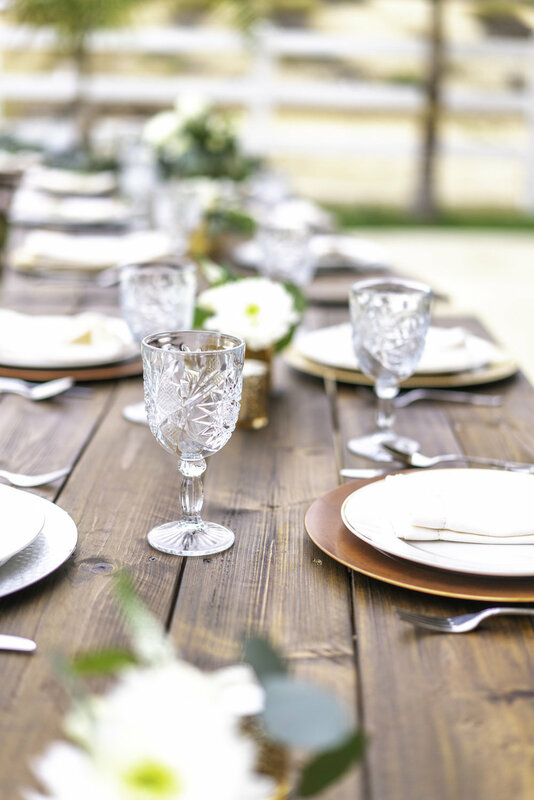 Madeline Gardner has perfectly blended her expert knowledge of design with her flare for beautiful details into each look this season. 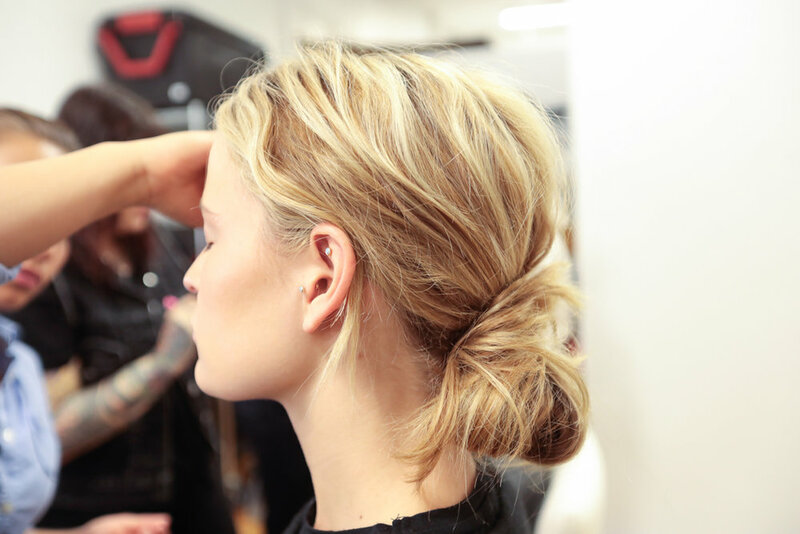 While her style is constantly evolving, her designs continue to transcend time. With over 70 years in the industry, Morilee by Madeline Gardner has become synonymous with glamourous bridal and eveningwear. 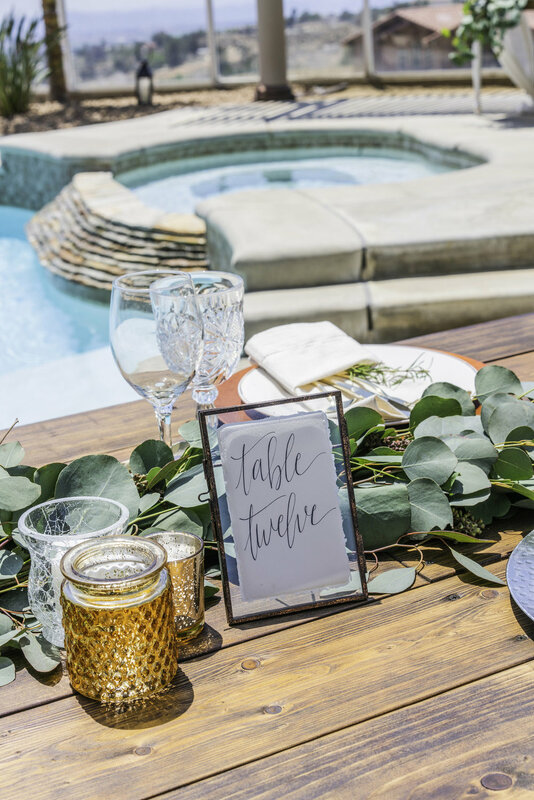 The guiding force behind Morilee’s remarkable success for more than 25 years, Madeline Gardner infuses the collections with marvelous style and is a steward of its outstanding quality. 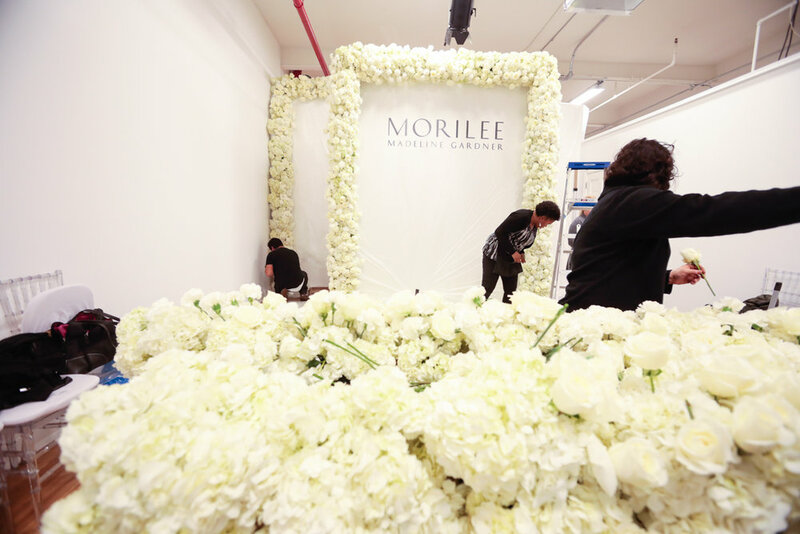 Morilee has become one of the world’s leading brands, with a presence in over 4,500 stores in 85 countries. 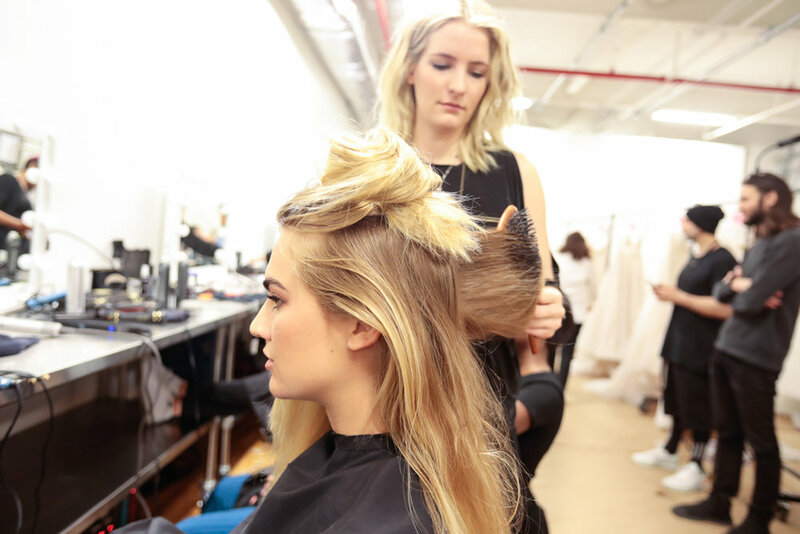 A Peek Backstage at the 2018 Morilee New York Bridal Fashion Week Runway Show! 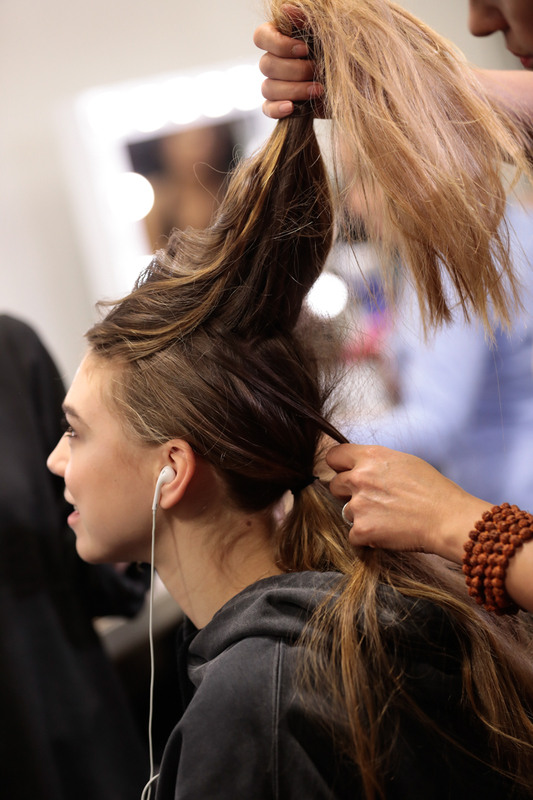 Backstage at a Runway Show is CRAZY! 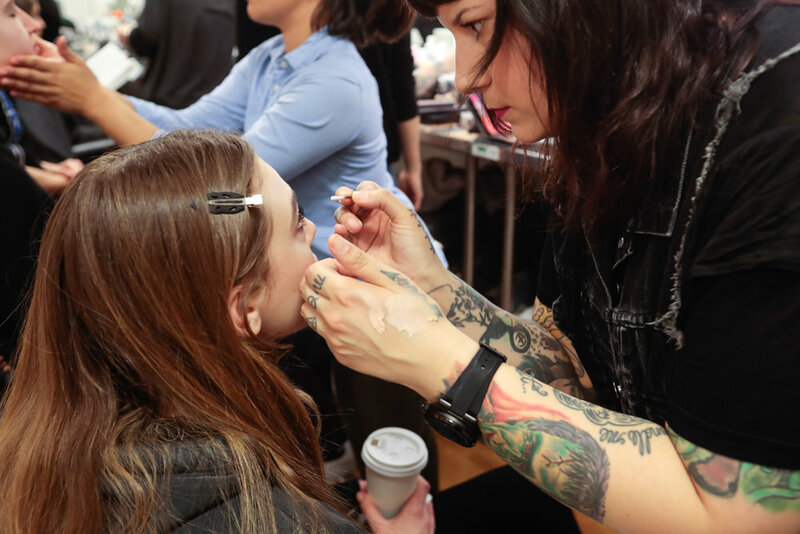 (We know from experience as we've produced over 50 amazing runway shows in San Diego!) 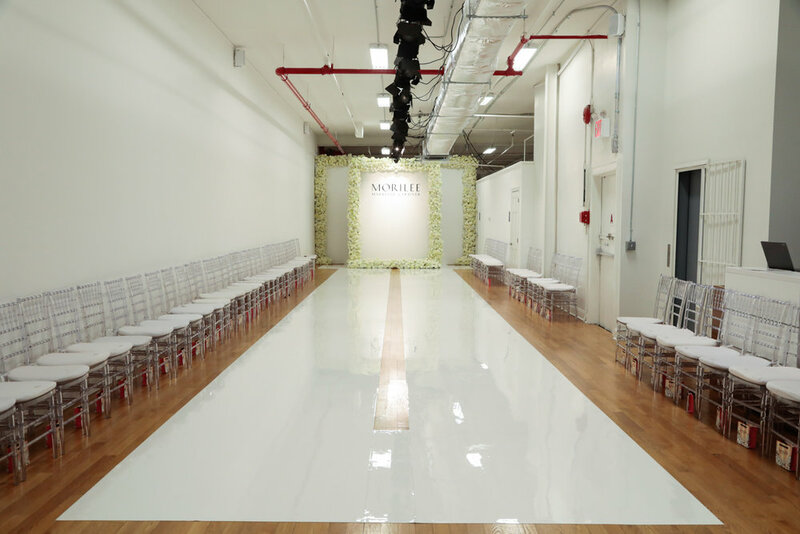 So for us it is super fun to get a peek backstage at someone else's show and all the busy bees that make it come to life, like this gorgeous runway by Morilee Fashion Show from New York Bridal Fashion Week! 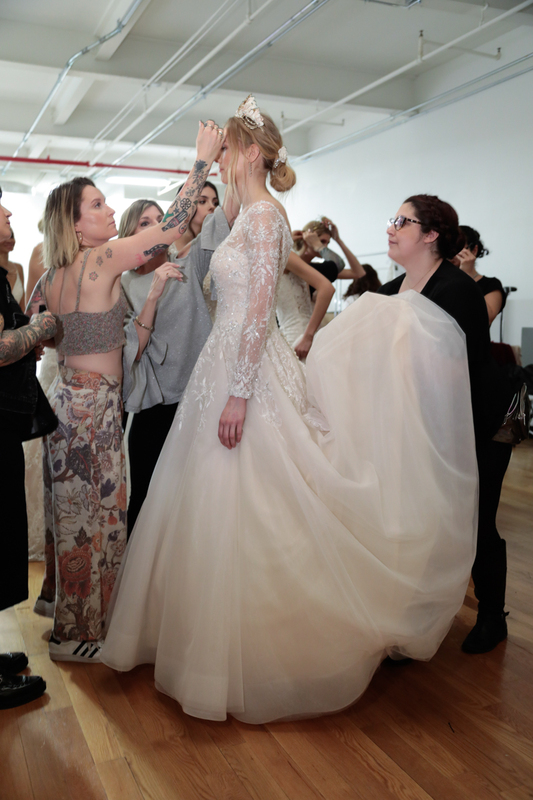 Break a leg and check out these beautiful bridal gowns and the fun backstage as models, stylists and designer get ready for the big show! 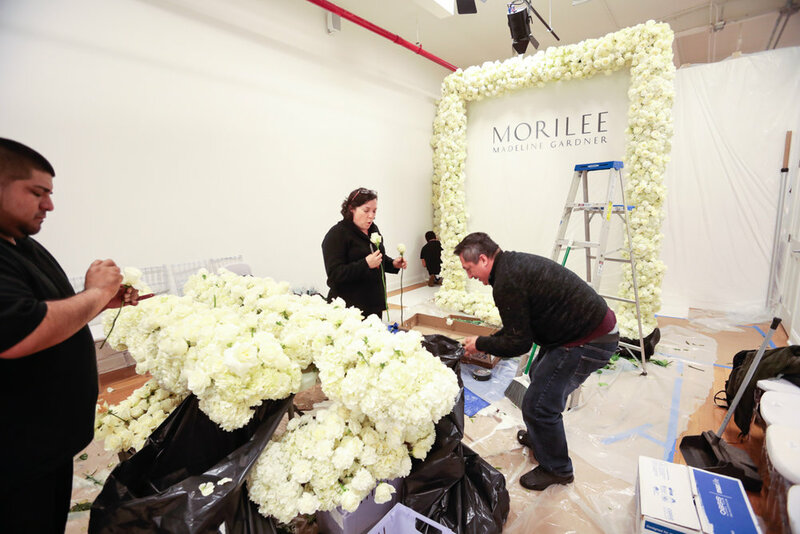 Check back soon for this finished product of the Morilee Collection on the Runway! 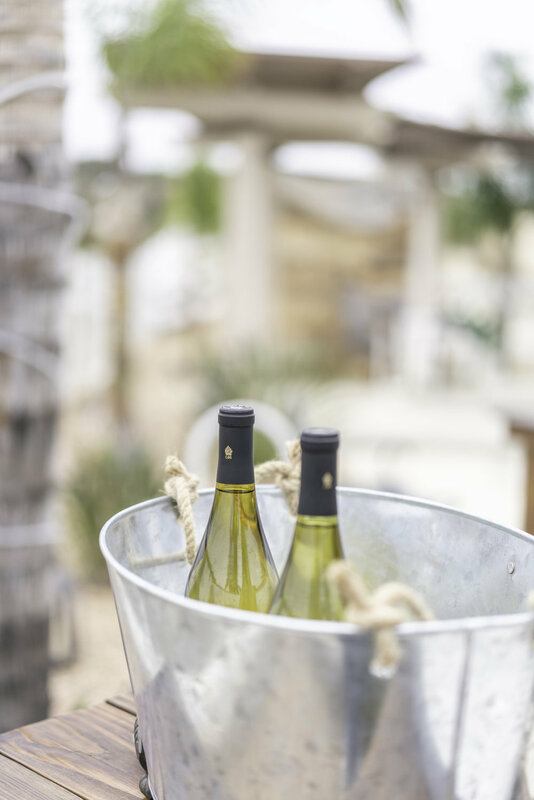 Don't Miss this Sunday's Amazing San Diego Wedding Party EXPO at the US GRANT! 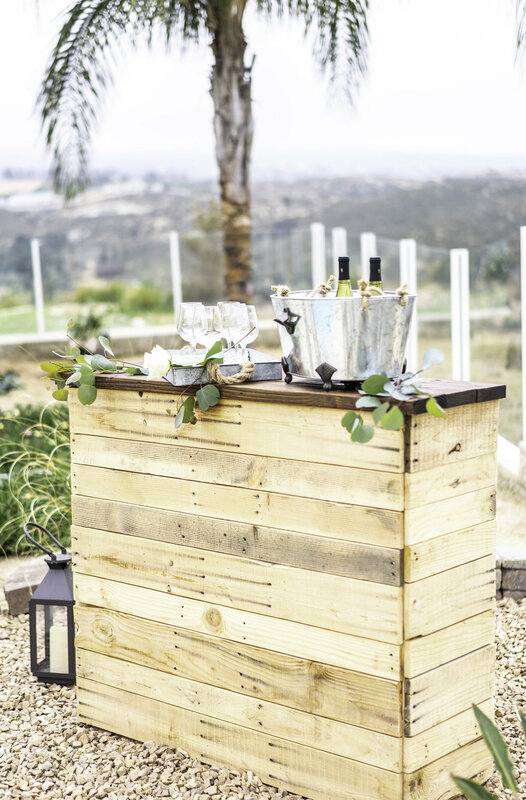 Why plan your wedding in a convention center when you can plan in style at San Diego's biggest, most loved and longest-running, stylish wedding fair? 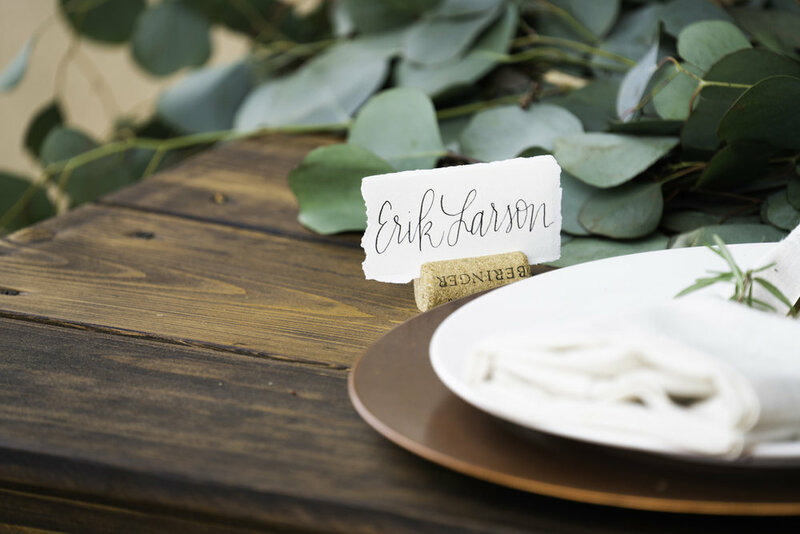 Get your tickets now and save on San Diego's most gorgeous and amazing wedding planning day; The 45th San Diego Wedding Party EXPO! With 4 fashion shows, CAKE dessert lounge, a cake tasting contest, food, wine and more all this Sunday February 25, 2018 downtown San Diego at the breathtaking, Edwardian era US GRANT HOTEL! See you there! 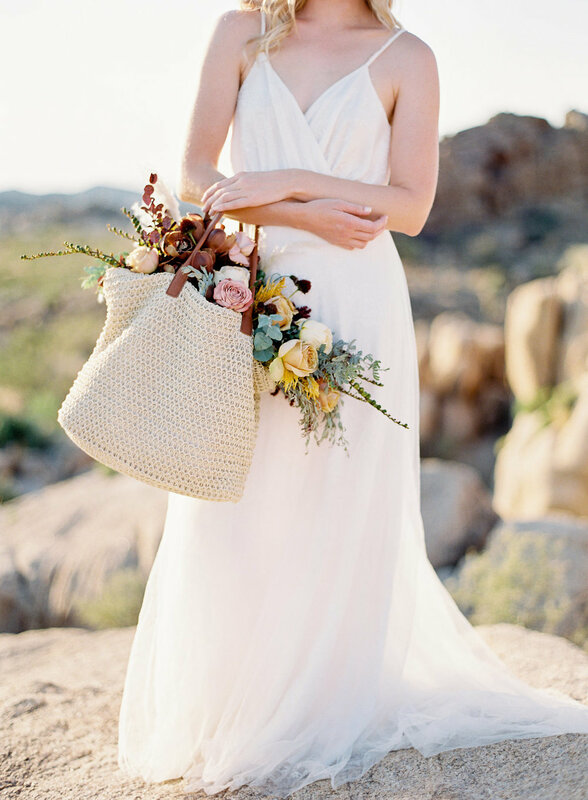 Gracy Accad's Sophisticated Elegance Reminds us of when Grace Kelly's Wedding Ruled the News! 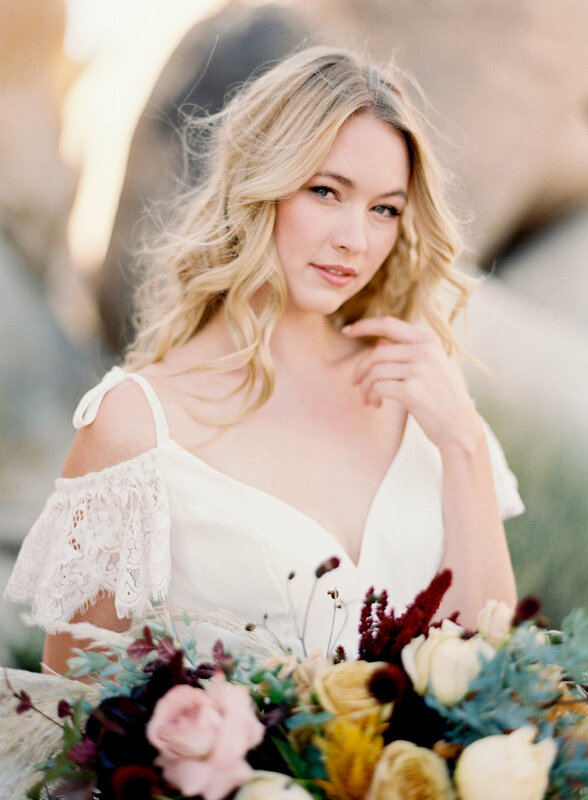 With a refined, sophisticated style that harkens back to the magic of Grace Kelly in the 1950's, New York based Bridal Gown Designer Gracy Accad brings a classic elegance to bridal that we just love! And we think this heavenly blue with white floral creation in particular is just divine! Gracy Accad is a fashion alchemist who blends simplicity, chicness and modern romance. Her collections bring to mind the elegance of haute couture with a downtown edge, using only the finest fabrications and sewing techniques. 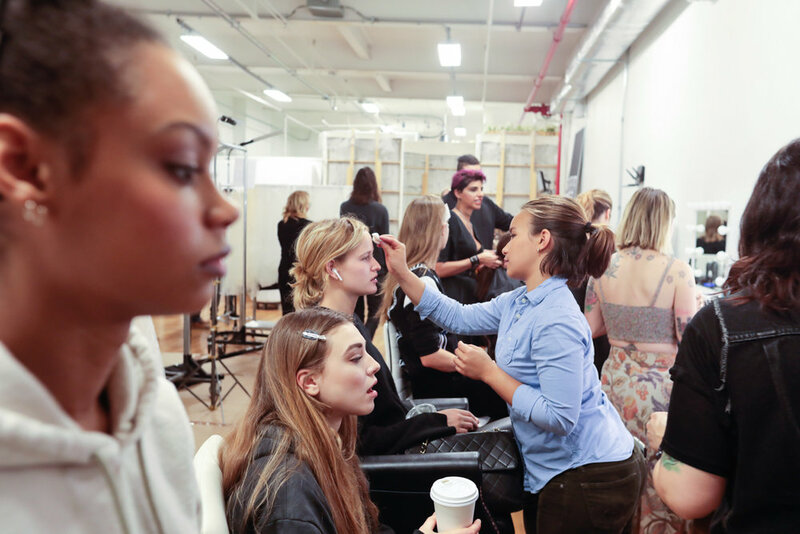 In four short years, this native New Yorker built a following among millennial women who come to her New York City atelier for handmade designs with modern sensibility. Gracy Accad comes from a family whose heritage is rooted in the textile industry and sources only the finest materials and pays special attention to fit and form. 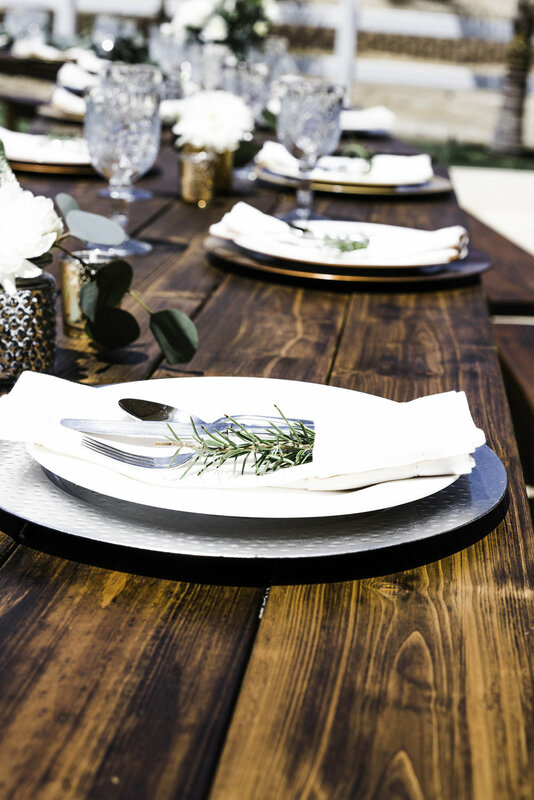 Her looks are characterized as enduring and timeless, but still maintain a modern edge. 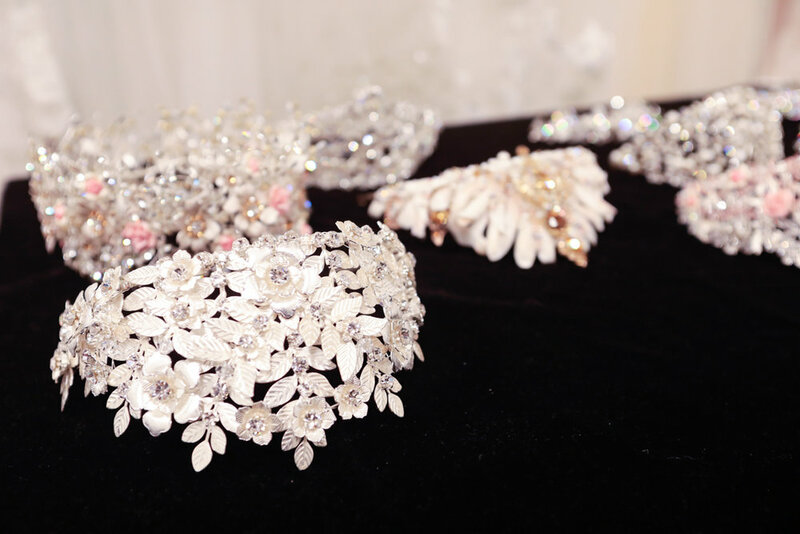 Both her bridal and evening wear are elegant and refined, and known for having shimmer and sparkle. 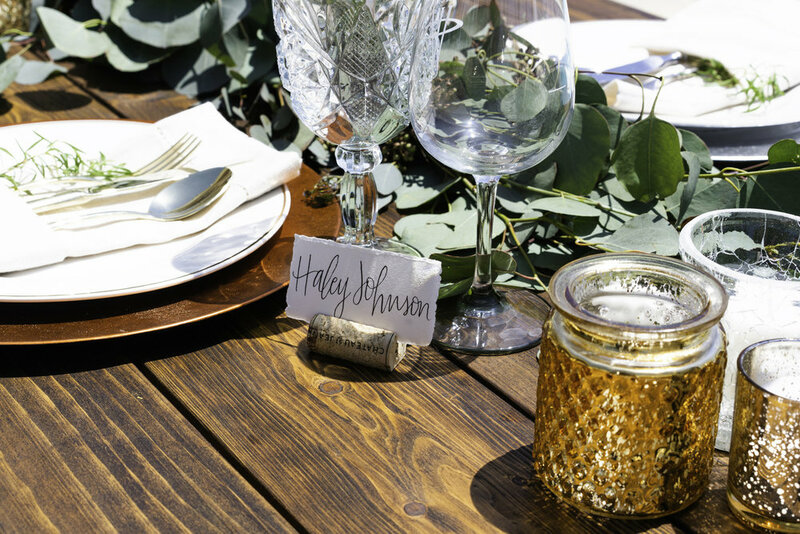 There's a classic touch to each of her designs—even the ones that are in tune with contemporary trends. 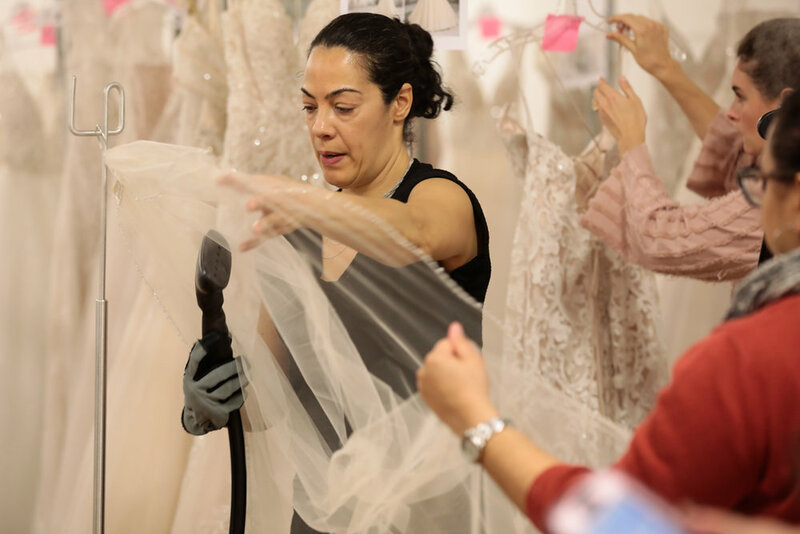 Gracy Accad continues to receive accolades from notable industry editors from her signature evening wear and bridal debut during the Fall 2018 season New York Bridal Fashion Week. Jordanian Designer Zeina Nabulsi knows texture! Her bridesmaids gowns and evening wear are luxurious, modern and bold and are perfect for a dramatic evening wedding any time of year! Zeina Nabulsi’s luxurious and sumptuous creations are put together with spectacularly rich fabrics and colors, delicate lace, intricate beading, and exciting elements, designed to make women feel elegant and divine with a touch of fantasy; to feel sensual all while being elegant. Zeina Nabulsi is known as one of today’s most talented Jordanian Designers. Born and raised in Jordan by a creative and design oriented family, Zeina Nabulsi’s passion for fashion, curiosity for art and ambitions grew. After finishing her studies at Central Saint Martins school of Design in London, she gained creative and technical skills in fashion design at the American Intercontinental University of London. Shortly after,Zeina landed an opportunity to work with the widely acclaimed Lebanese fashion designer, Elie Saab, as his coordinator and a part of his creative team. Her sumptuous for creativity and desire to enhance self-image led Zeina to put together her unique experience and character to reveal her first collection. “Breakfast At Tiffany’s” for the 5th Avenue Princess bride! "Muse" the Spring/Summer 2018 Collection by BERTA bridal gowns. 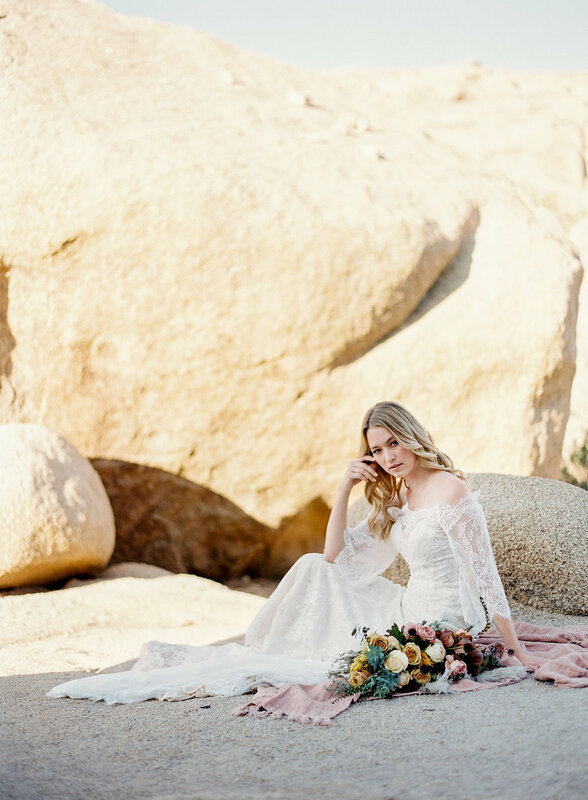 This shoot is the epitome of the raw industrial meets beautiful soft and feminine trend in fashion styled shoots right now! 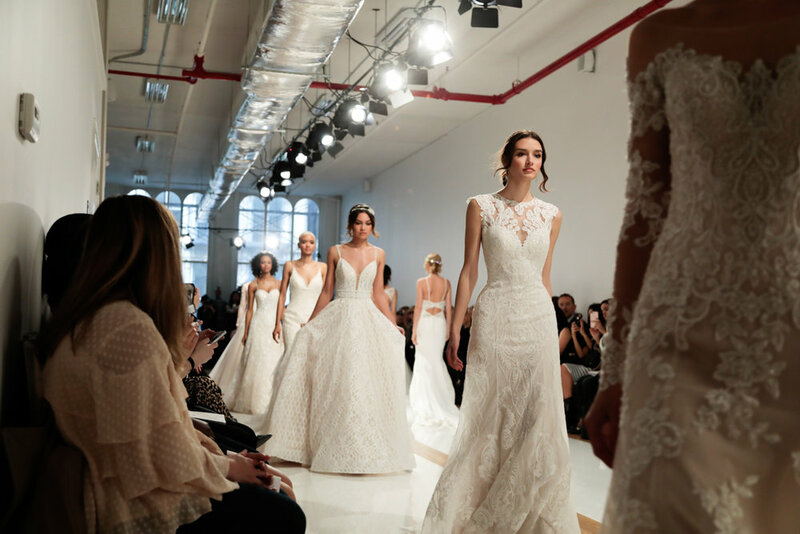 The gritty streets of NYC, the Brooklyn bridge, the sidewalks and street signs and yellow cabs, are all the perfect backdrop to highlight the rich feminine styles of these beautiful bridal gowns. We may be San Diegans through and through but we do <3 NY! 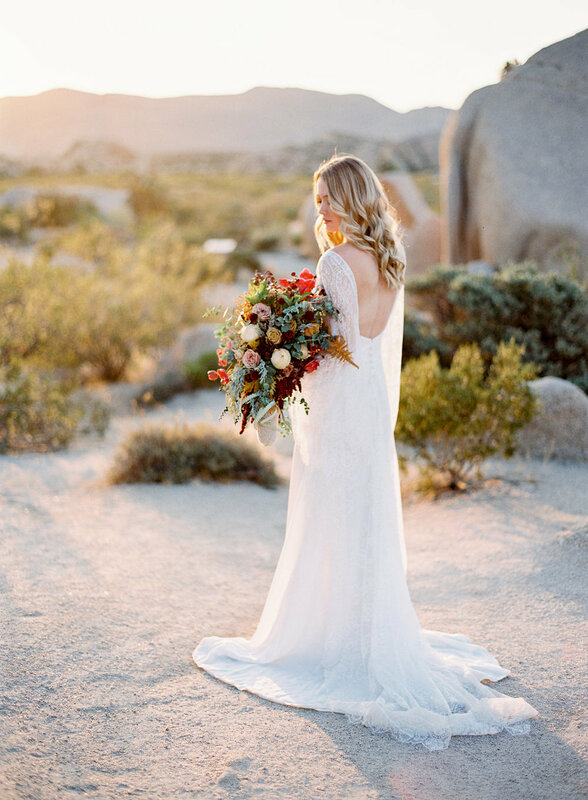 Certain brides know exactly what style of bridal gown will look right for them before they ever go online or step into a bridal salon. 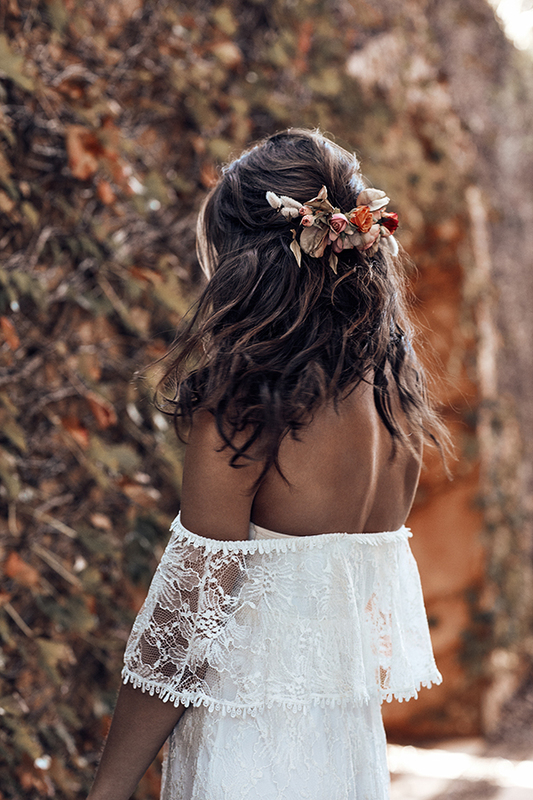 One brand of these style conscious girls is what we like to think of as the 'Nature Goddess'. 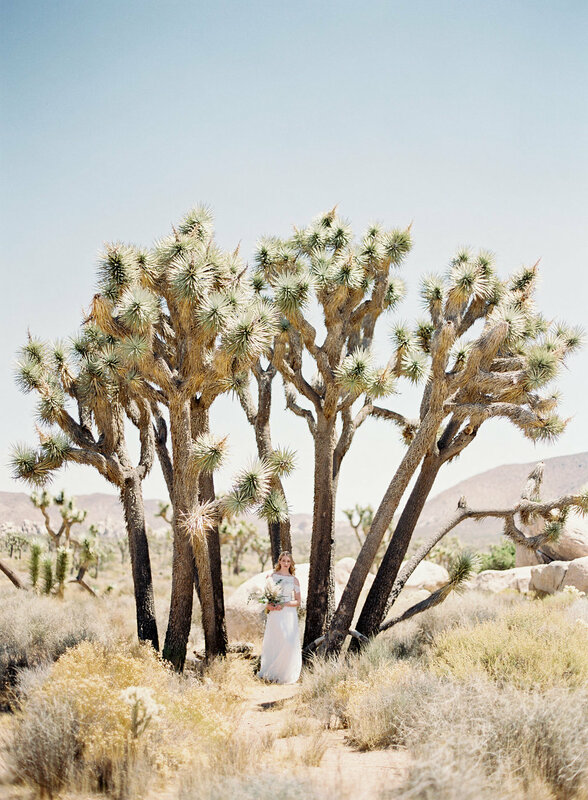 She is the Chieftess of the woodlands, the happy sprite of the stream, the powerful Madonna of the mountaintop, the beautiful nymph of the field, and she is definitely the Queen of any desert. 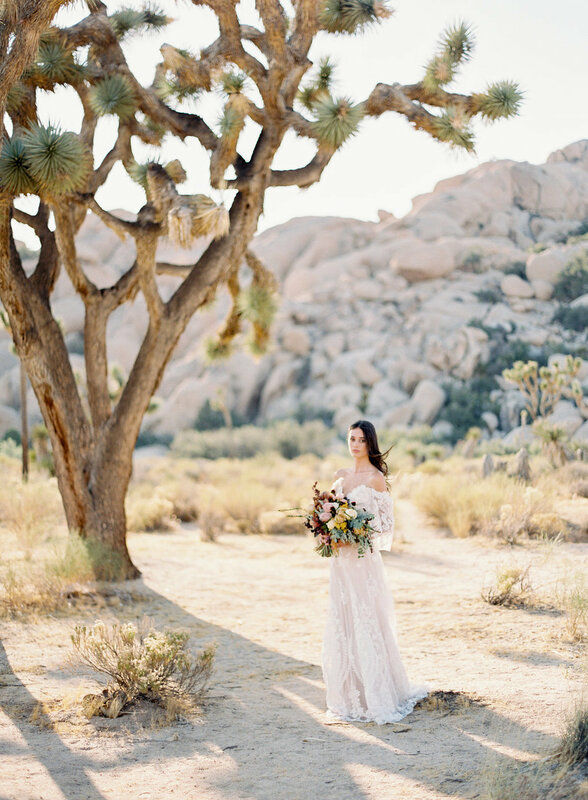 What with today being the first day of the Winter Solstice, honored by Goddesses and Nature Lovers everywhere, we thought we'd bring you this beautiful Joshua Tree desert shoot by Wilderly Bridal Collection by Allure Bridal. 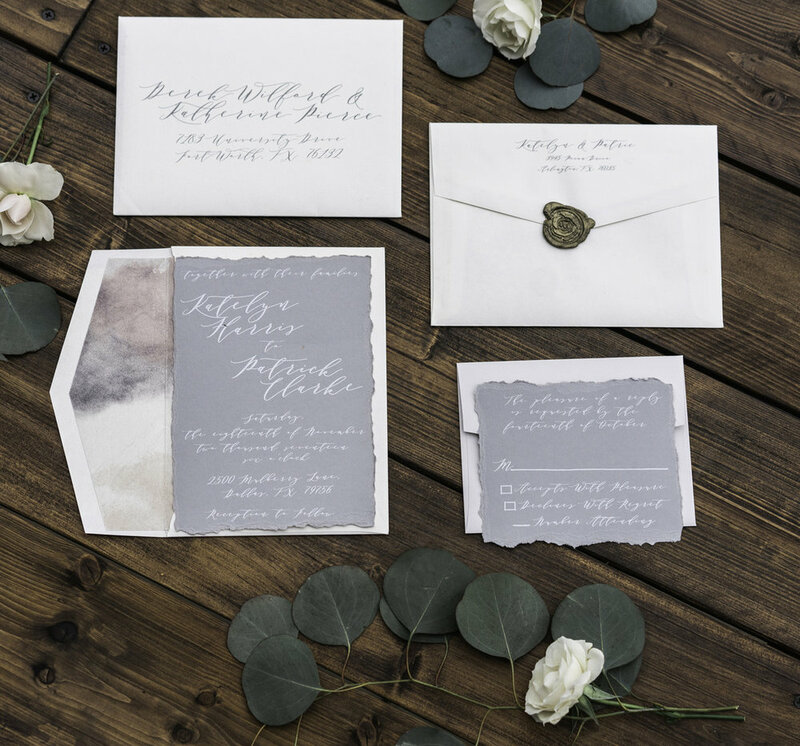 This collection reflects the free spirit style of the Nature Goddess and honors any Bride in harmony with the forces of nature. Enjoy, and Happy Winter Solstice! 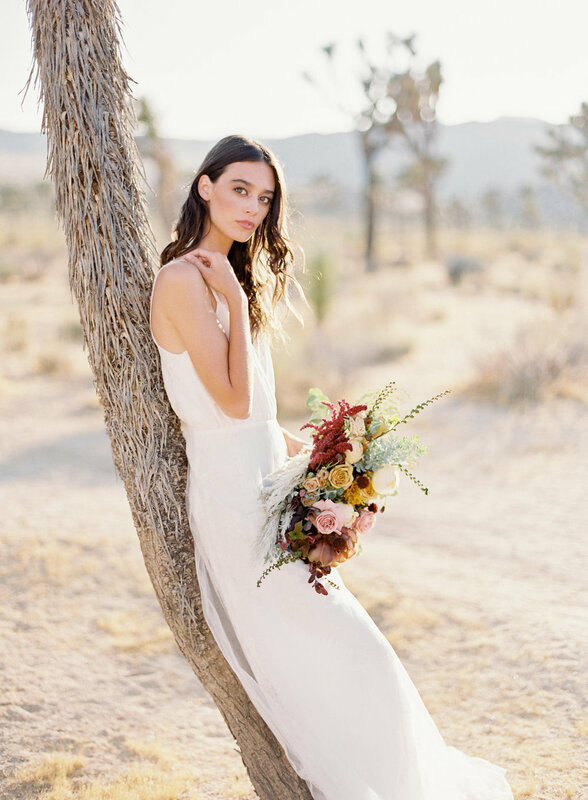 This gorgeous and Goddess-y bridal gown collection is available locally at Bridal & Veil in Mission Valley and Mia Bella in Del Mar. 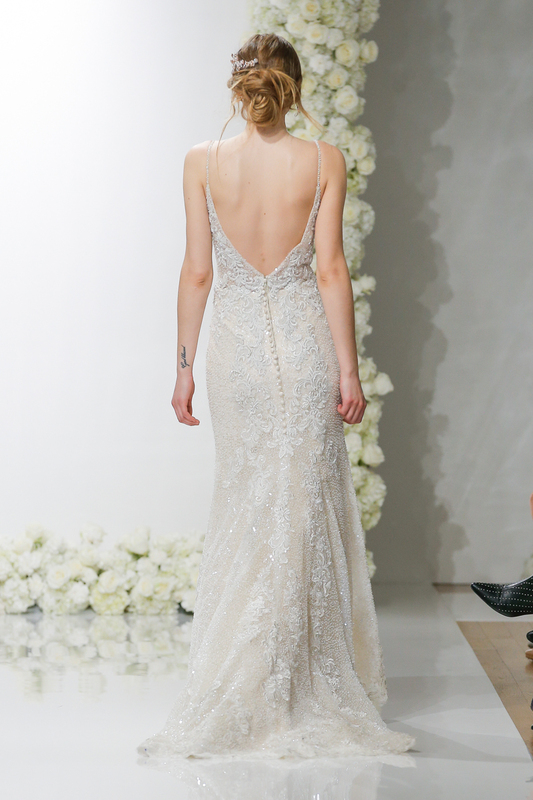 Fit for a Queen, Jana Ann Couture's Gowns are the Stuff Wedding Dreams are Made of! We hope Meghan Markle is paying attention! 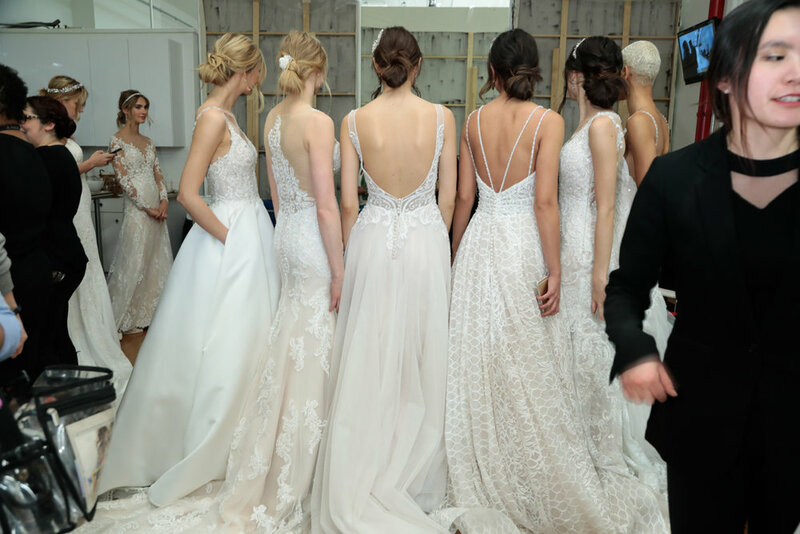 Recently unveiled at New York Bridal Fashion Week, this collection of bold and beautiful bridal gowns by Jana Ann Couture was inspired by the drama and timeless styling of real European Royal Weddings. 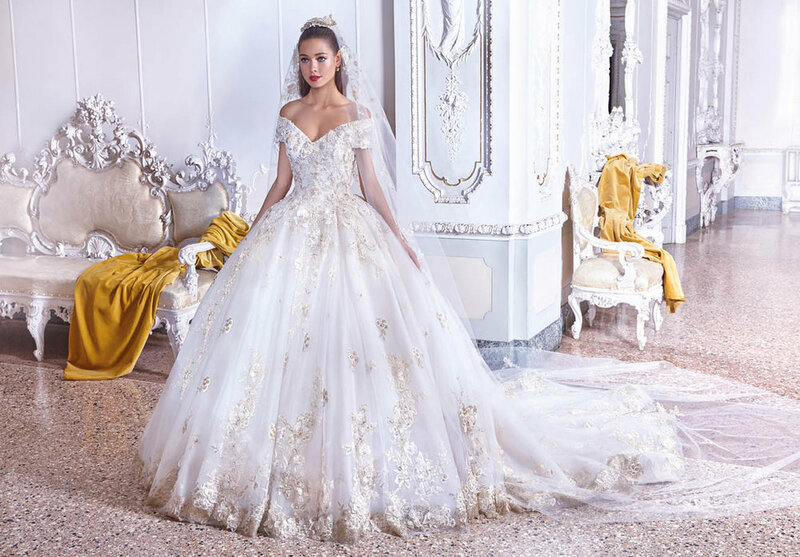 With most of the gorgeous lace worked into the dresses hailing from France, Italy and Turkey, these very regal bridal gowns are the perfect fit for any Royal bride! Capturing contrast is the essence of art. Dark and light, rough and smooth, harsh and elegant. 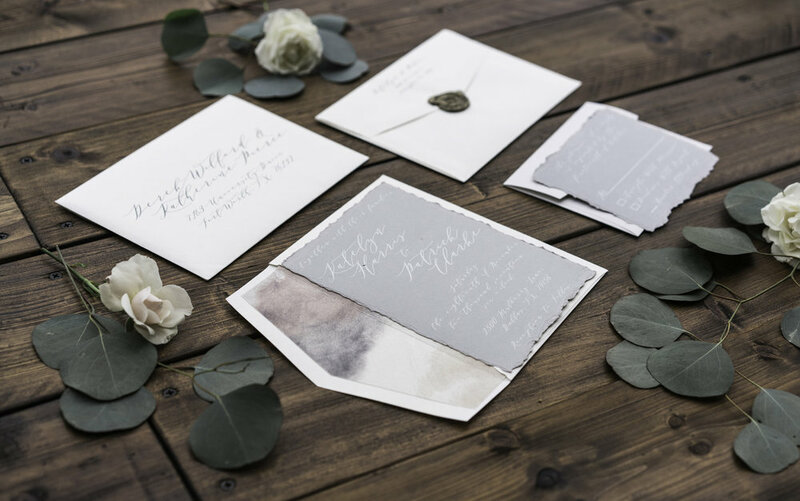 This styled bridal shoot took place in Poland; a land of contrasts, known for beautiful women and years of history, some of it beautiful and some of it harsh. 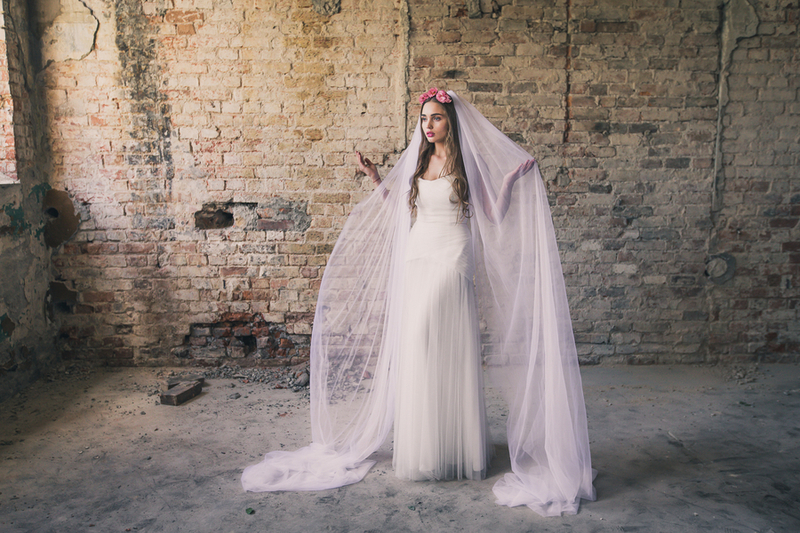 The photographer Masha found this old industrial building that used to be a military factory before the second World War and wanted to show the contrast between feminine beauty and the raw, industrial surroundings, and how cold, forgotten places can change as soon as beauty touches it. Artists like Masha know that finding and creating beauty makes the world a better place. We couldn't agree more. It's back! 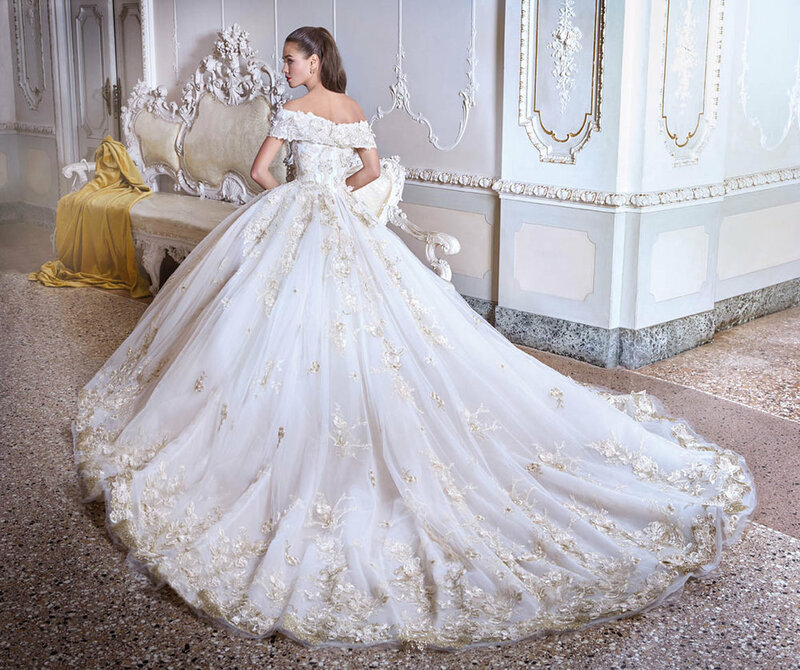 M bride salon's White Sale on designer gowns! 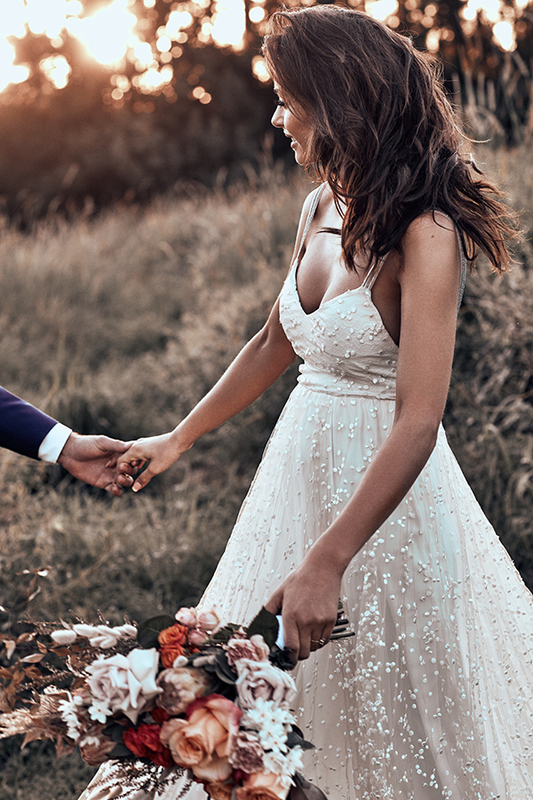 Receive 30%-70% off all designer sample wedding gowns from designers you love like Monique Lhuillier, Ines di Santo, Reem Acra, Pronovias, and many more. Take an additional 10% off by paying cash or check. Receive 10%-15% off all special order bridal gowns. Refer a friend and receive a $25 gift certificate. Please call 858-551-1718 for your appointment. Space is Limited. 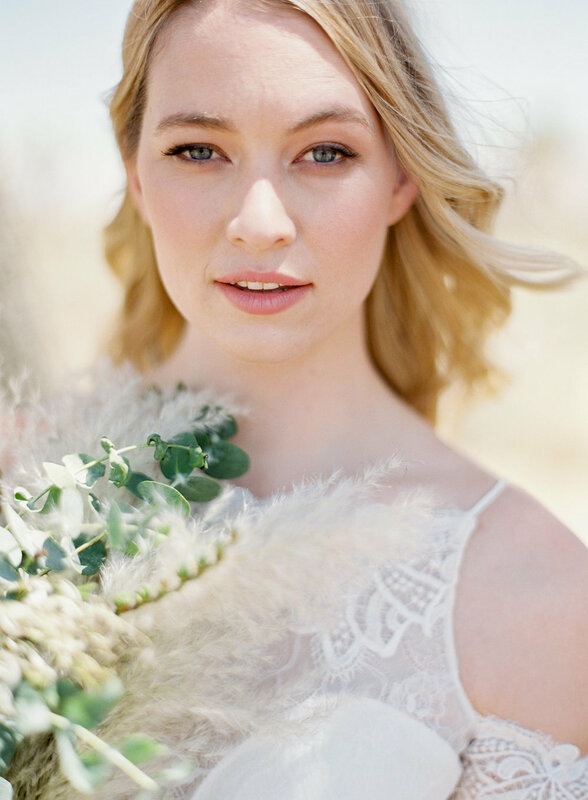 M bride is San Diego’s premiere bridal salon specializing in bringing the latest designers to the fashion forward bride. 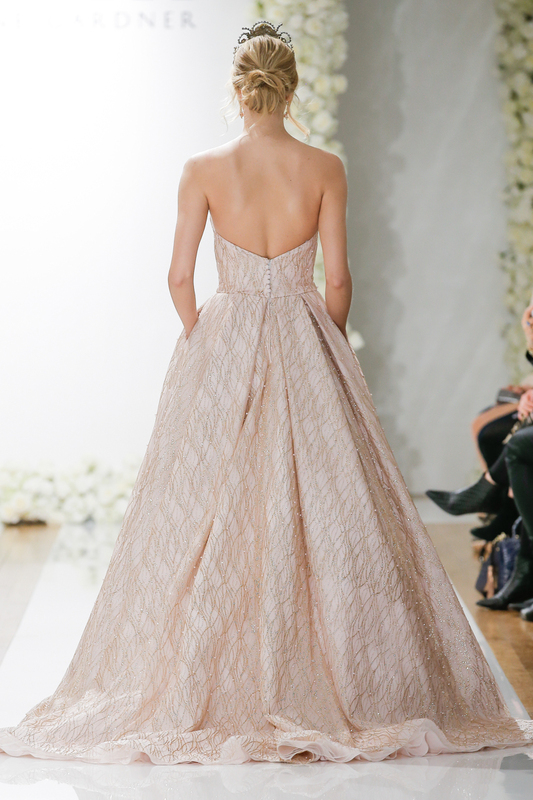 Their exclusive gowns combine a fusion of New York chic with Hollywood glamour. 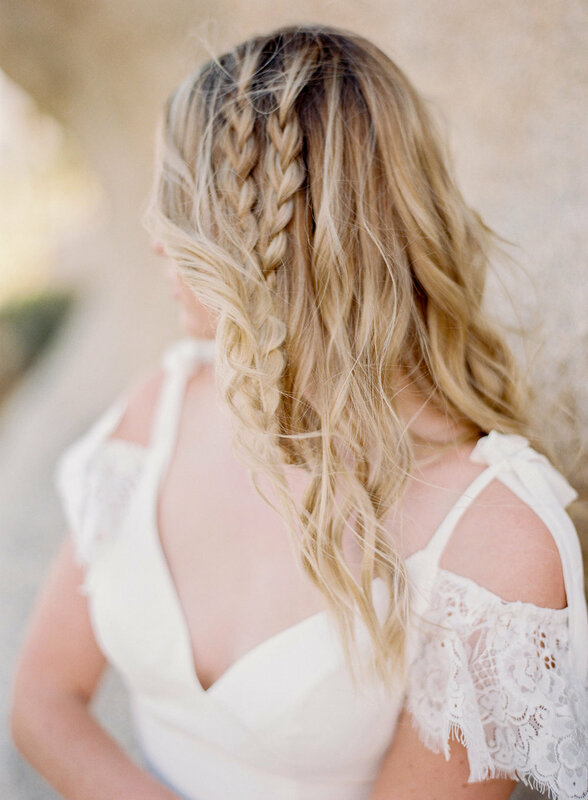 At M bride, they are redefining bridal…California Style. 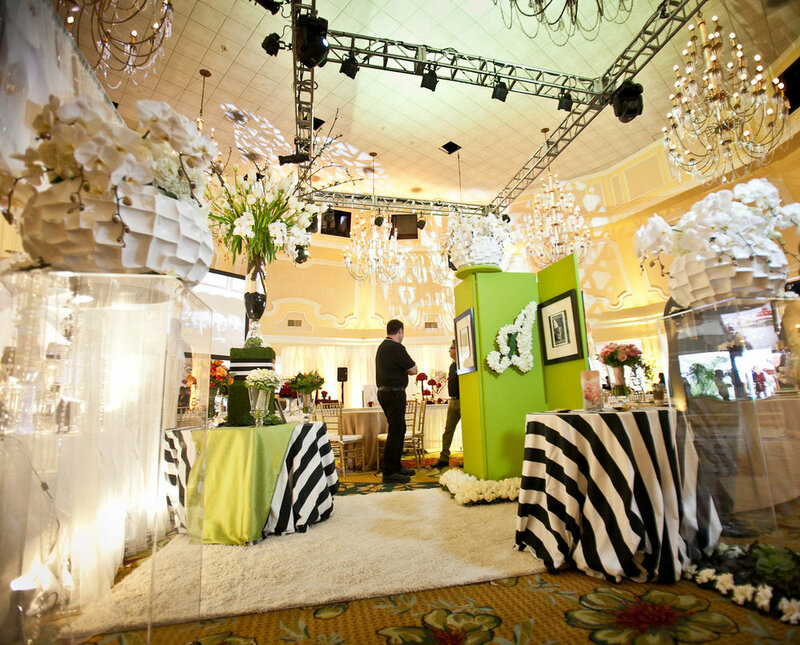 Don't miss this Sunday's Wedding Party EXPO the chicest Wedding Planning Fair in town! 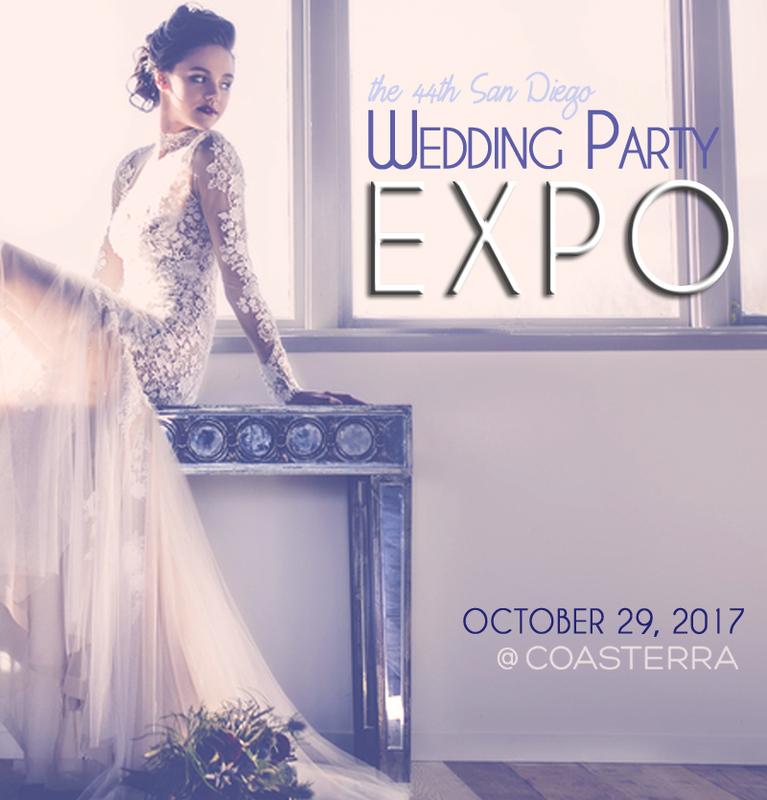 Save on advance tickets to San Diego's hottest wedding planning event, The Wedding Party EXPO, as they celebrates their 44th gorgeous, stylish, exciting, & on trend show in style at the coolest event venue in town right near downtown! 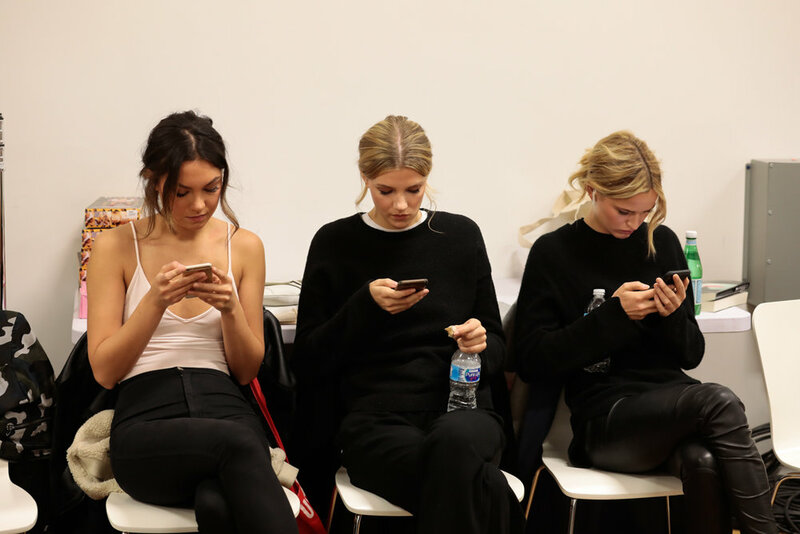 It's like your Instagram feed come to life! 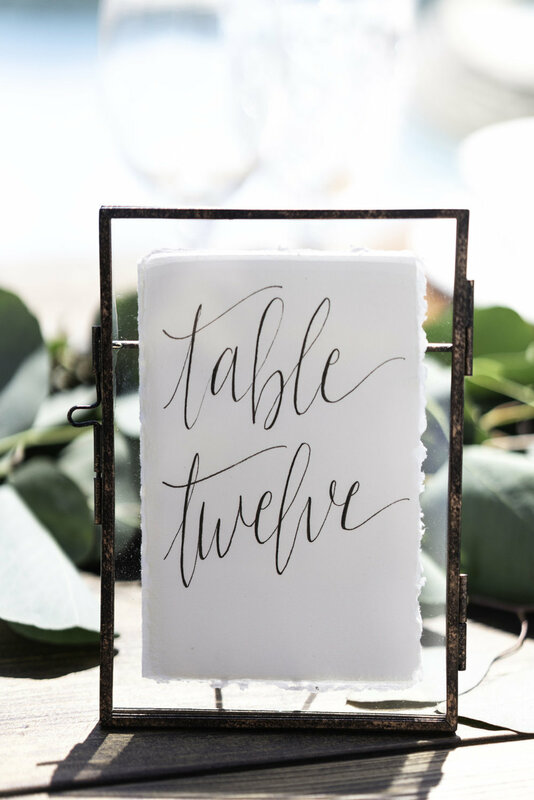 Don't miss this afternoon of 75 of the most sought-after wedding vendors, reception venues, bridal and groom fashion, beauty ideas, food, cocktails, photographers, decor experts, bakers and dessertiers, honeymoon experts and ideas to have you planning in style! 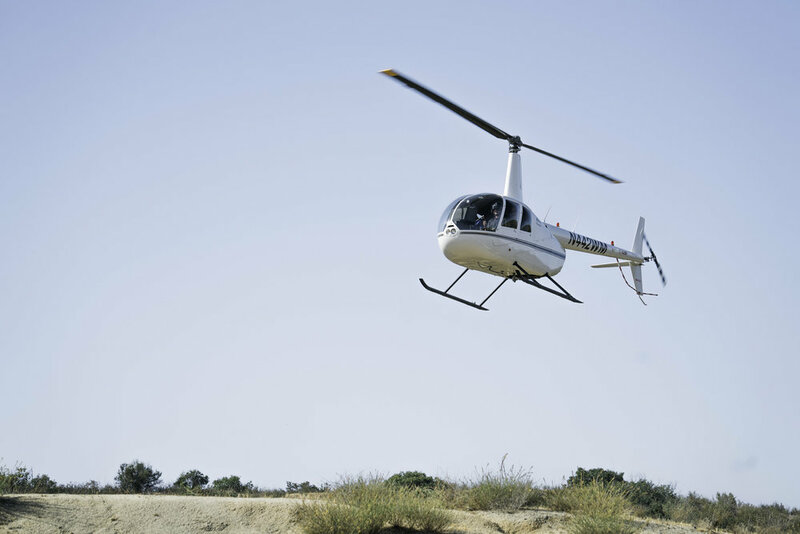 See you at the show! 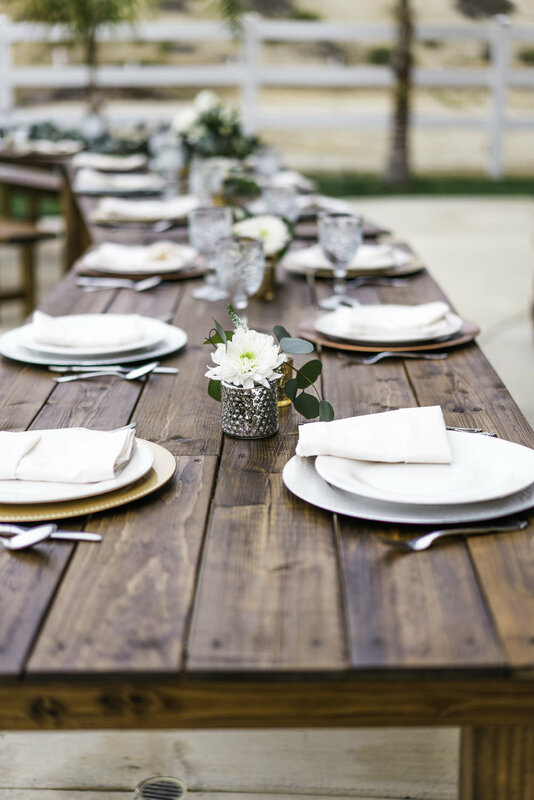 Experience wedding style and planning at its finest, The Wedding Party EXPO brings 75 of the best in wedding venues, services, ideas and products to you! 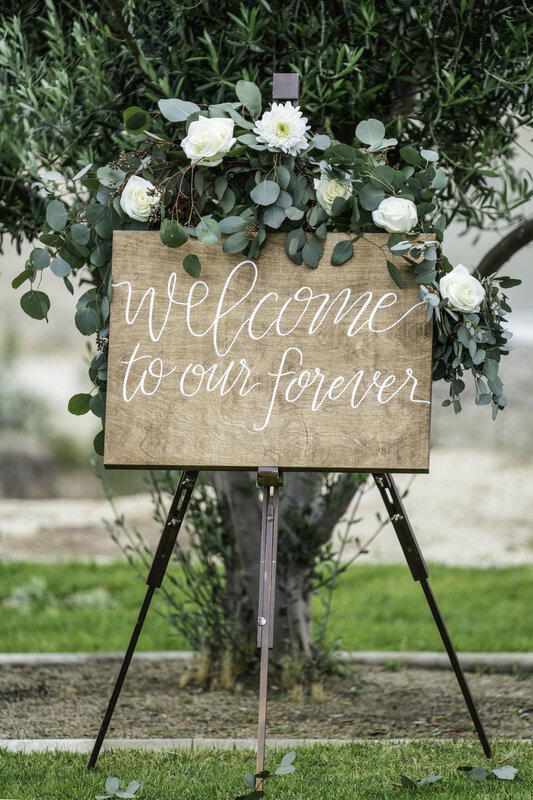 This stylish and exciting full size bridal fair has it all, with many special attractions like incredible couture fashion shows on the red carpet, top designer showcases and a fabulous selection of the finest local wedding services. Fashion Shows: 3:00 PM Fashion Show on the red carpet with designer gowns by Demetrios and Men's fashions by Friar Tux. 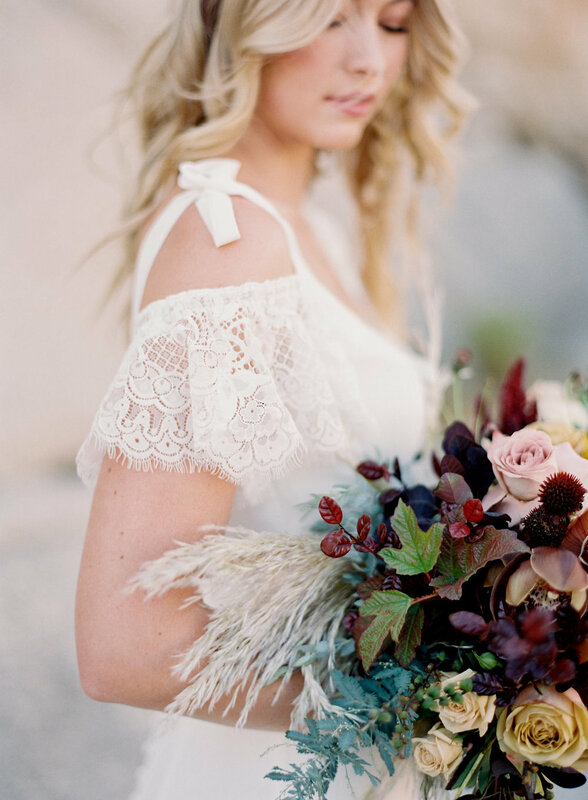 Enjoy a meet and greet with Designer Jana Ann of Jana Ann Couture in the ballroom! General Admission and VIP ticket options available. 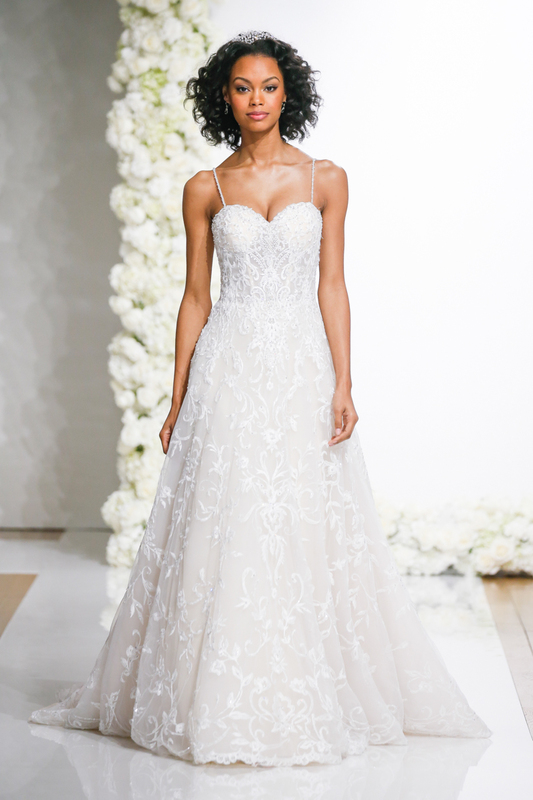 Don't miss the Ines di Santo Trunk Show this weekend September 22-24. Come see the exquisite Spring 2018 collection of one of our favorite designers. Space is limited. Please call 858-551-1718 for your appointment. 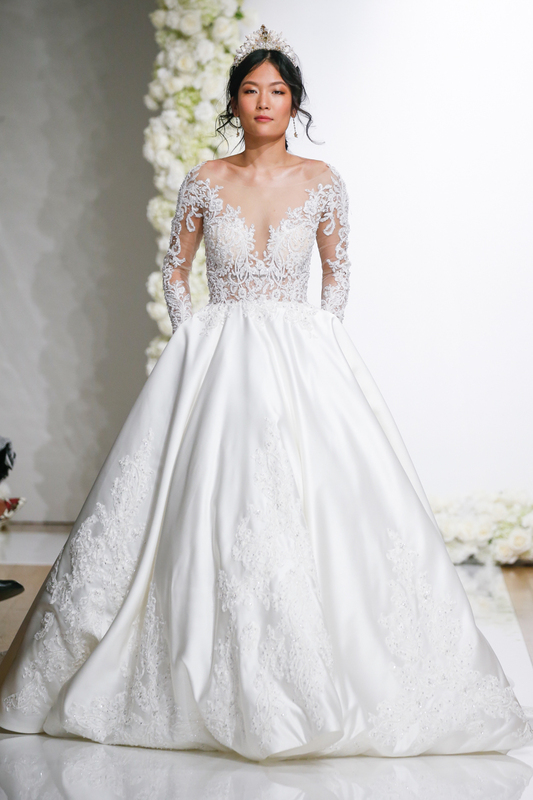 Bold and beautiful bridal gowns by designer YSA MAKINO steal the show! Presented at the prestigious Milan show from 2000 to much acclaim, Bridal Gown Designer YSA Makino has been making waves and gaining a loyal and steadfast following amongst trendsetters in Europe and the U.S.A. and is available in San Diego at bridal gown salon Here Comes the Bride in Mission Valley. Based in NewYork, YSA Makino had its design roots in Tokyo, its design direction was to create beautiful dresses which represented a fusion of sensuality and attention to traditional details. Representing a new era in couture designer-wear, YSA Makino's revolutionary approach to dress making endeavors to produce a wonderful visual experience with impeccable quality. Their fully in-house tailors, artists and embroiderers are highly experienced with skilled techniques in embroidery and tailoring, creating a product that truly differentiates itself. What evolves from this designer's Atelier is a truly different and unique masterpiece appreciated by stores and the woman who understands beauty and the joy of being in the center of a truly luxurious experience. 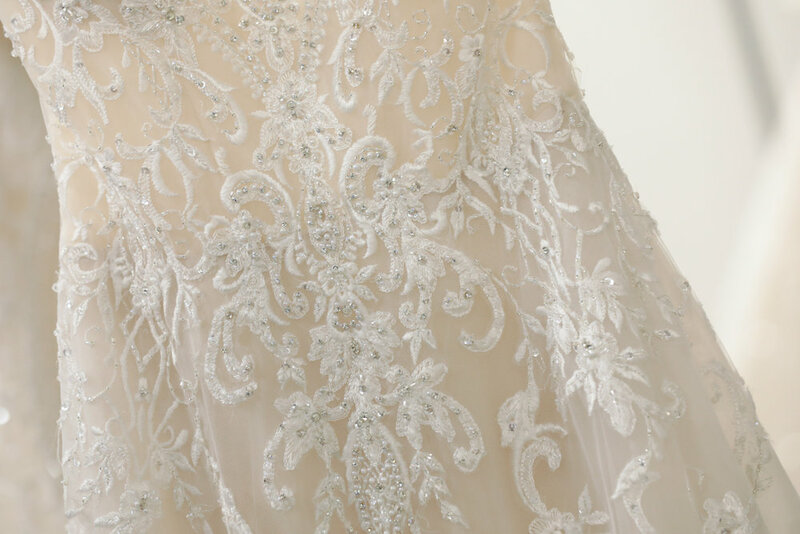 YSA Makino is committed to working closely with its clientele to ensure the highest level of customer satisfaction, catering to their needs and demands in the customization of each gown to satisfy every requirement of the customer. The benefit of these very different methodologies and techniques - where every aspect is hand made - gives the design its maximum potential in achieving the distinctive impact where no boundaries exist and no effort spared in creating the very best. Luxurious silk satin Duchess and Mikado are used lavishly to create sculptural foldings and drapes in YSA MAKINO Bridal Gowns. 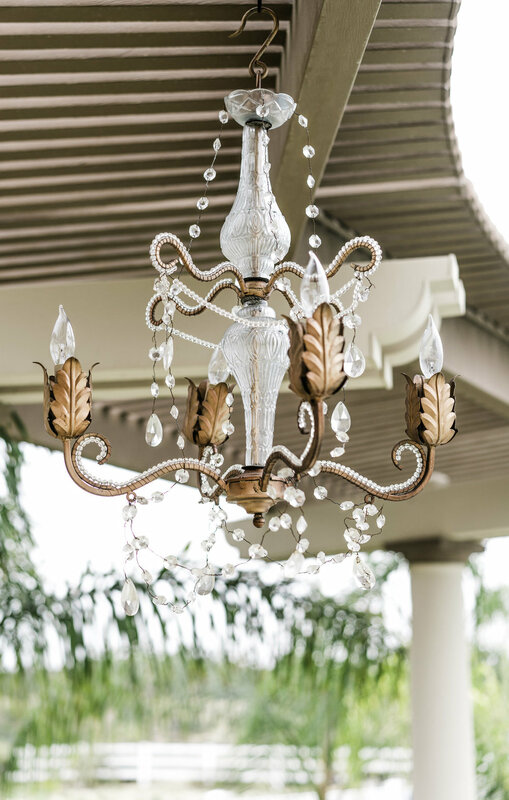 Feathers, Rosettes and Crystals Stones are applied to produce totally different dimension to bring out subtle details and bold expression of exuberance. Born and raised in Mumbai, bridal gown designer Naeem Khan grew up in a world surrounded by culture, architecture, art, history and design. As a boy, he cultivated a vast knowledge of textiles under the watchful eyes of his grandfather and father, both of whom designed intricate clothing worn by Indian royal families. Khan ultimately moved to the United States as a teenager to become a designer and launched his career as an apprentice for legendary American designer Halston at the age of 20. During his time with Halston, he immersed himself in the ethos of modern restraint and learned the craft of draping and cutting fabric to create a clean, elegant and timeless silhouette. 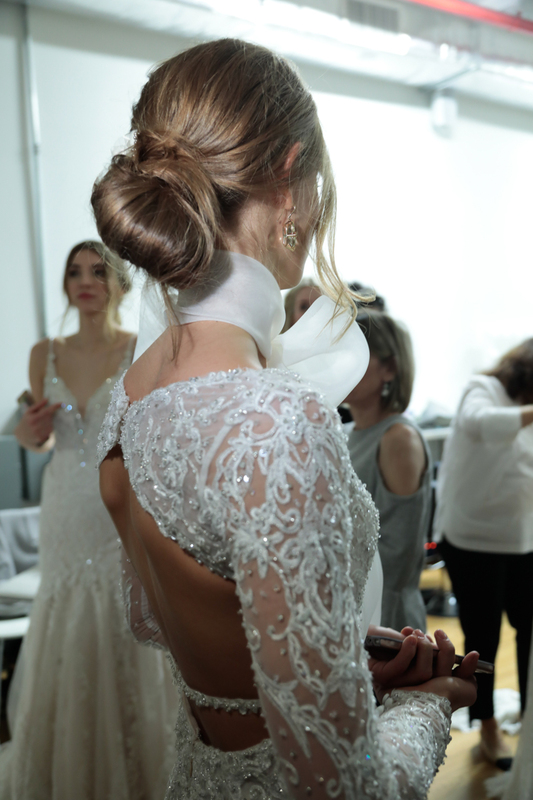 Khan eventually merged this design philosophy with the knowledge he gained from his family’s business to nurture his own unique style, and the Naeem Khan design aesthetic was born. Khan launched his eponymous collection in 2003 and began selling at Bergdorf Goodman, Neiman Marcus and Saks Fifth Avenue. Since then his collections have adorned glamorous women around the world, including Beyoncé, Jennifer Lopez, Taylor Swift, Rachel McAdams, First Lady Michelle Obama, Queen Noor of Jordan, and the Duchess of Cambridge, Kate Middleton, among others. In 2008, he was inducted as a member of the prestigious Council of Fashion Designers of America and most recently launched the Naeem Khan Bridal collection in 2013. 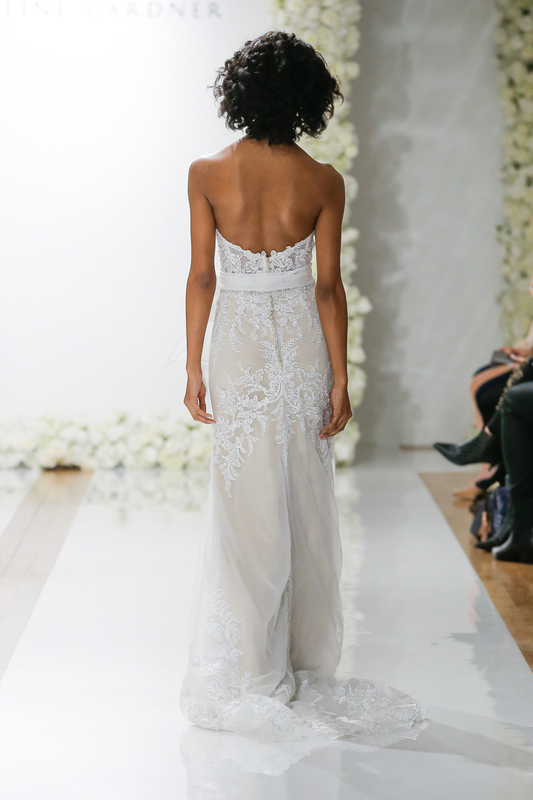 Today the Naeem Khan Ready-to-Wear and Bridal collections are sold at more than 150 retail outlets across the world. 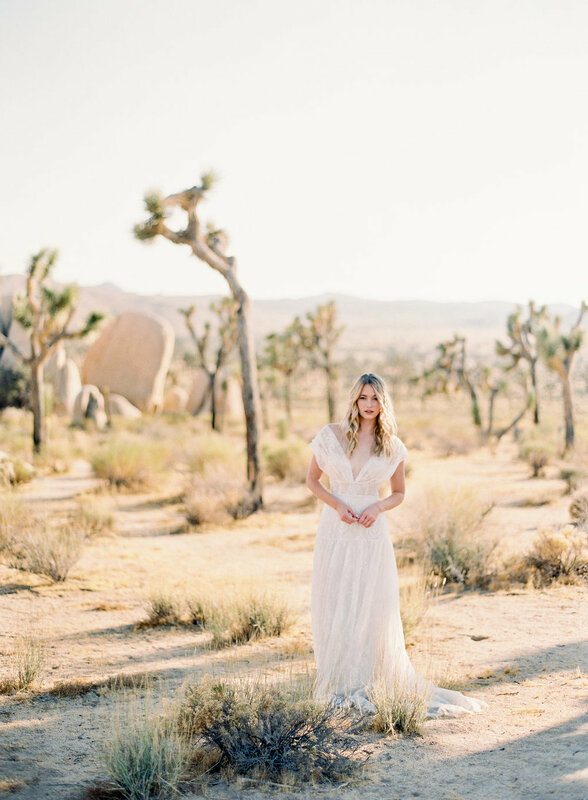 The closest complete bridal selection for Nareem Khan is in Beverly Hills at the Saks Fifth Avenue on Wilshire Boulevard, but Nordstrom and Neiman Marcus do carry his incredible ready to wear collections locally. 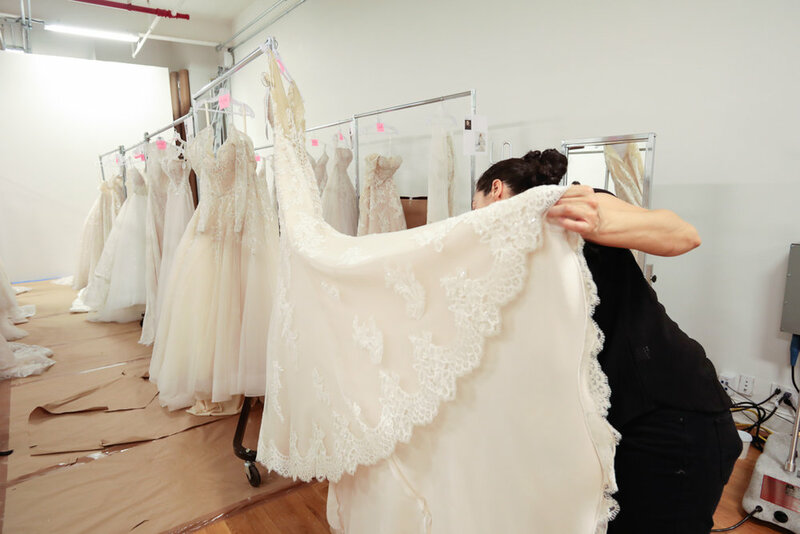 The M bride gown salon sample sale is back! 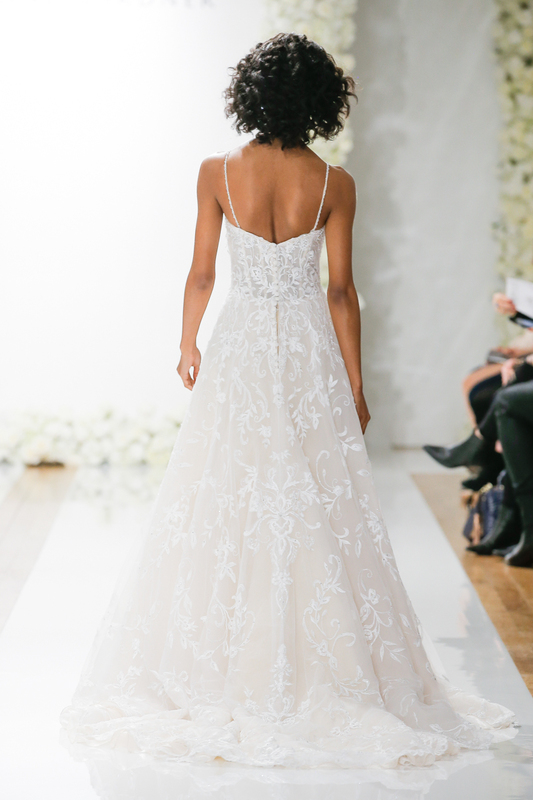 Don't miss the sale that brides wait all year for! 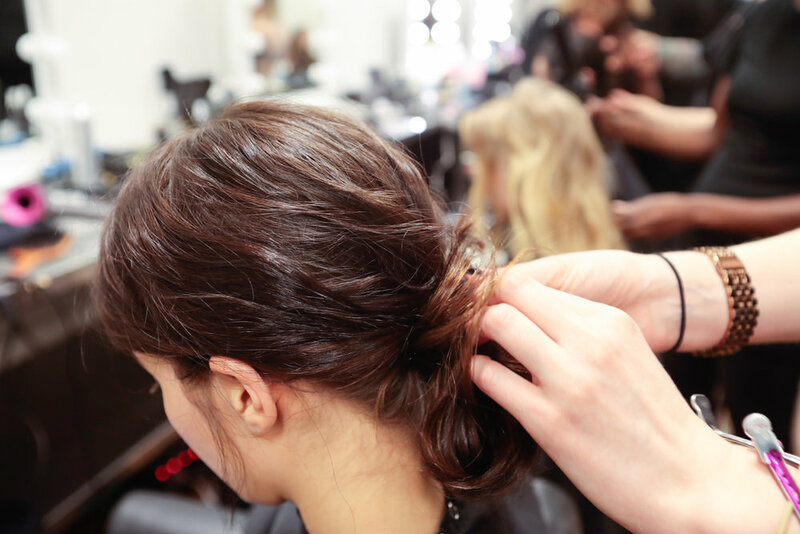 The Spring Designer Sample Sale at M bride Salon in La Jolla is back! 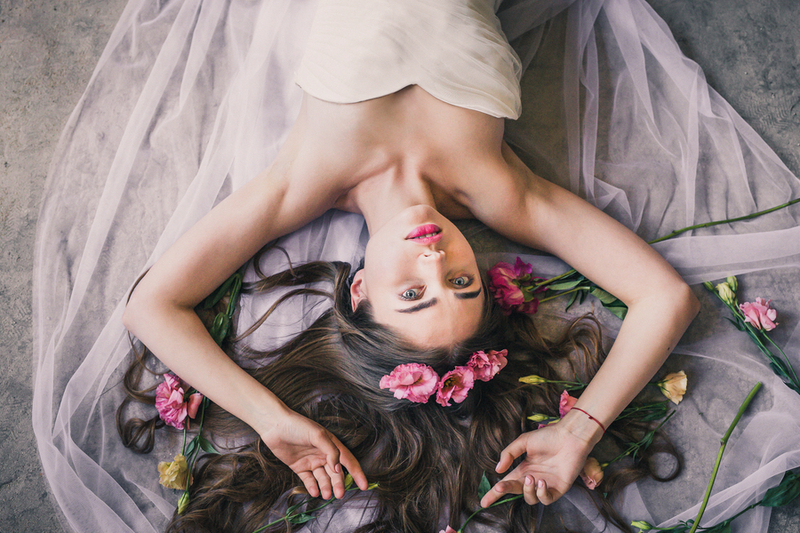 This week April 12- 15 get down to this very popular upscale salon to see the bridal dresses you've been dreaming about on sale! 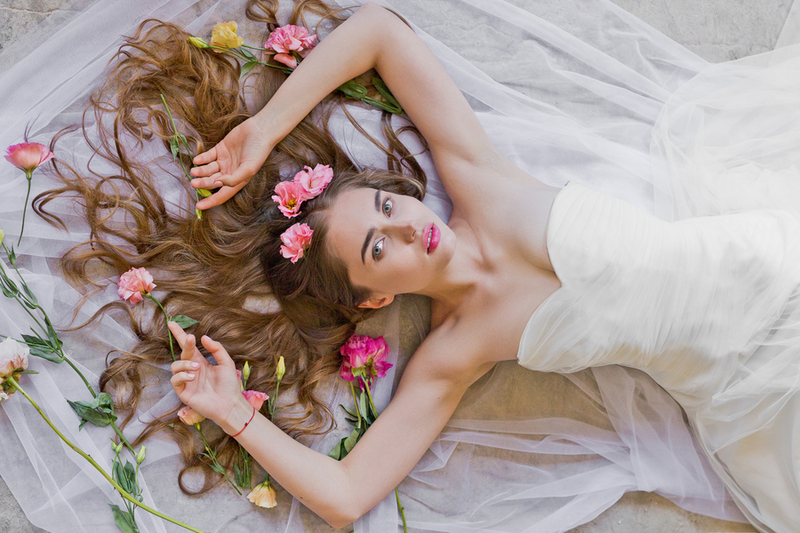 M bride, San Diego’s premiere bridal salon specializing in bringing the latest designers to the fashion forward bride. 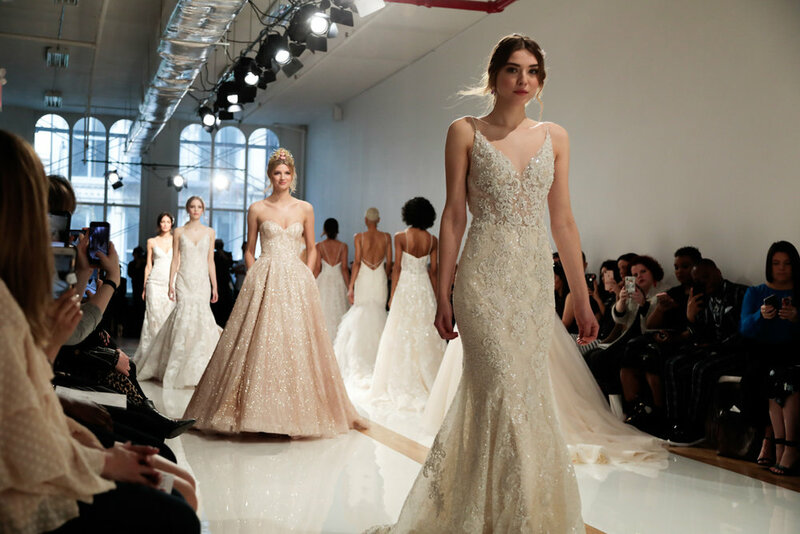 Their exclusive gowns by uber designers like Ines di Santo, Sachin and Babi, Bliss- Monique Lhuillier, Elizabeth Fillmore, Isabelle Armstrong, Mikaella, Monique Lhuillier, Pronovias, Reem Acra, and Ulla-Maij, combine a fusion of New York chic with Hollywood glamour. 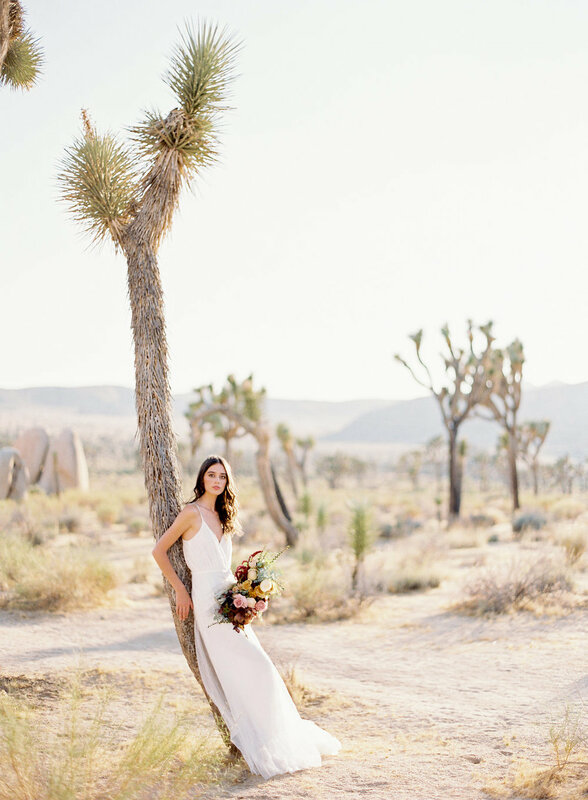 At M bride, they are redefining bridal…California Style.